Mountain biking. 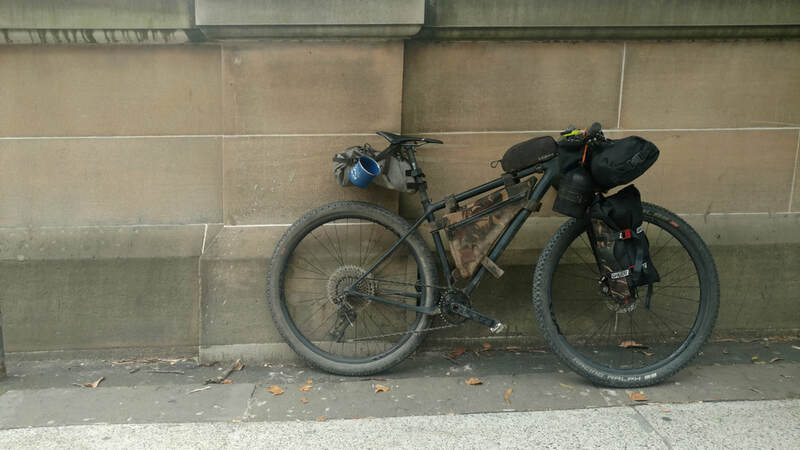 Bike-packing. Racing. A lifestyle. 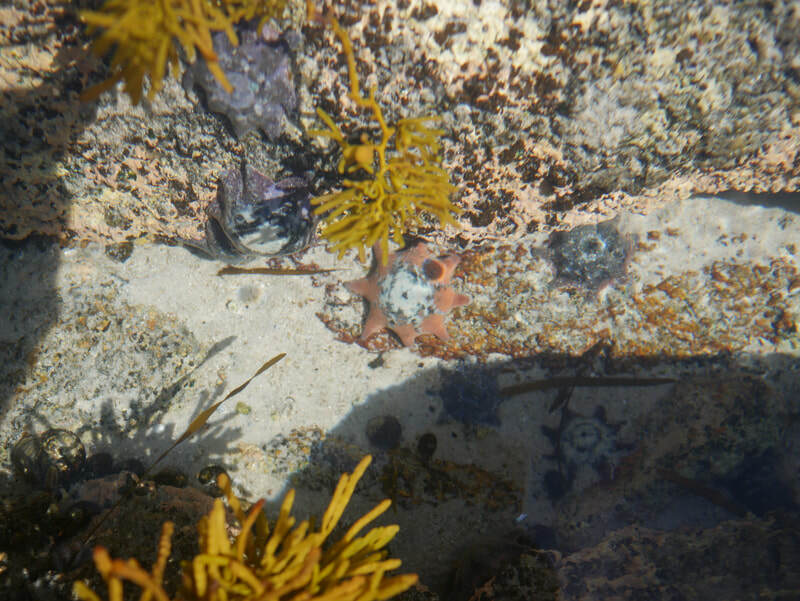 Two weeks in Tasmania, can I have more please!? Ending the sizzling Sydney summer with two weeks in tazzy gave the summer holiday a fabulous end. 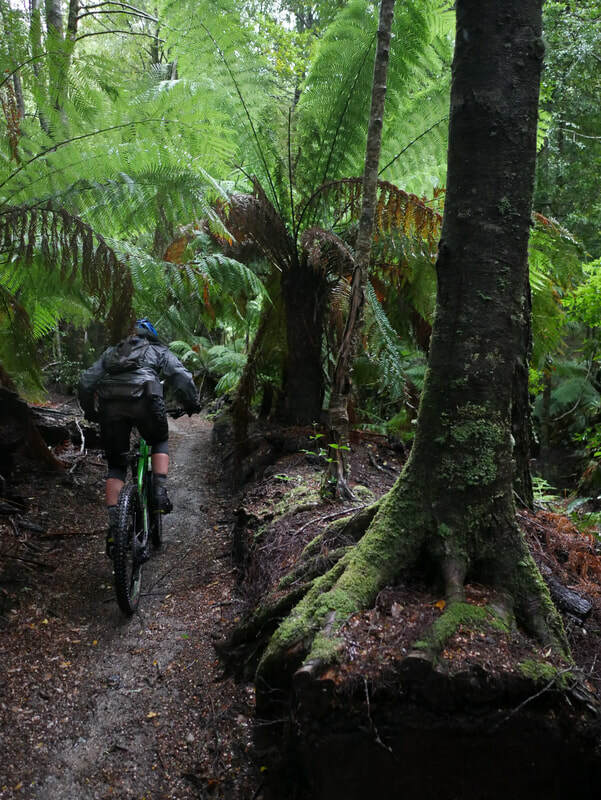 Tasmania is a wilderness and mountain bike gem hidden in the far corner of the southern hemisphere. 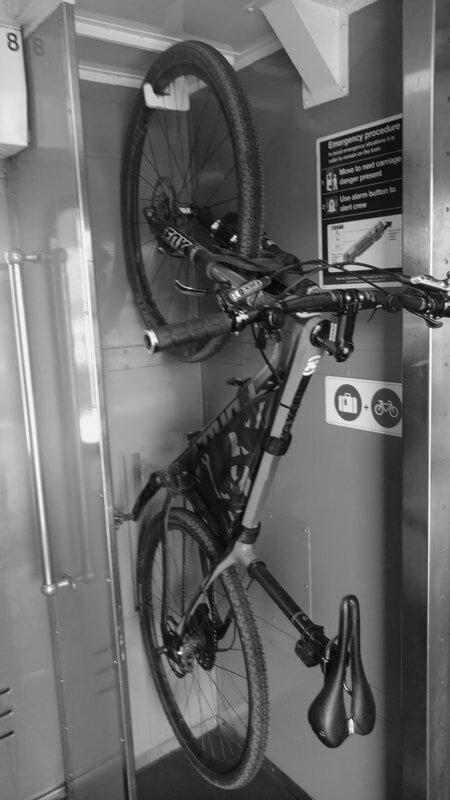 Camping at Derby, we woke to rain and pedaled to our shuttle with the local shuttle service and bike shop: Vertigo MTB. Along the way we noticed the small strip of businesses: two coffee shops, three bike/shuttle shops, a post-office, a bar/hotel, a pizza joint and a general market all tailor towards mountain biking. We also noticed the outside bike was and several public bathrooms and showers. Derby is a true mountain bike destination. 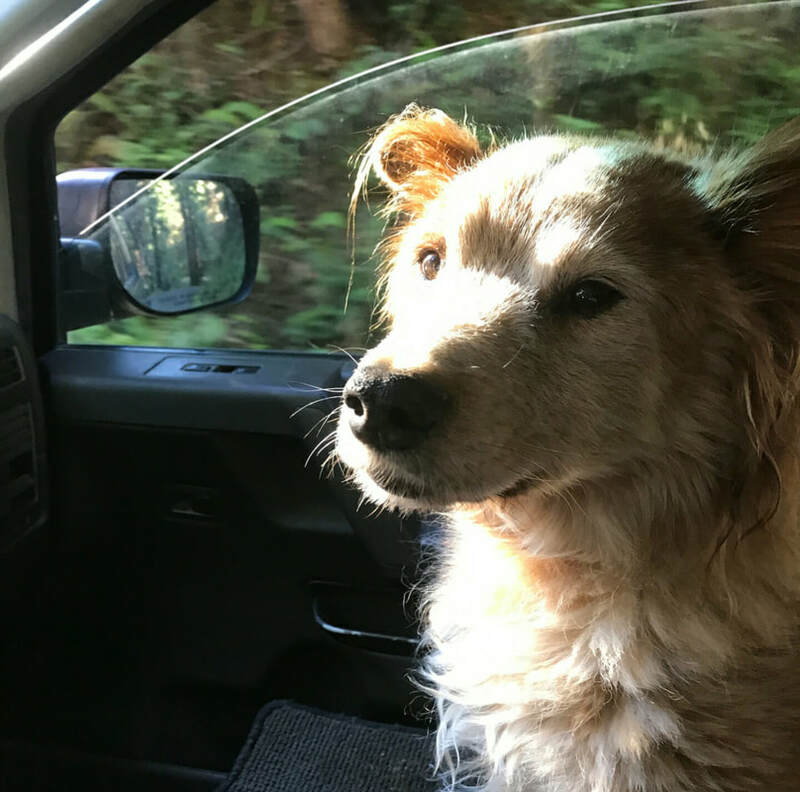 We loaded on the shuttle for the Blue Tier Trail for a long drive on wet and muddy road. About an hour later we reached the summit to buckets of rain. 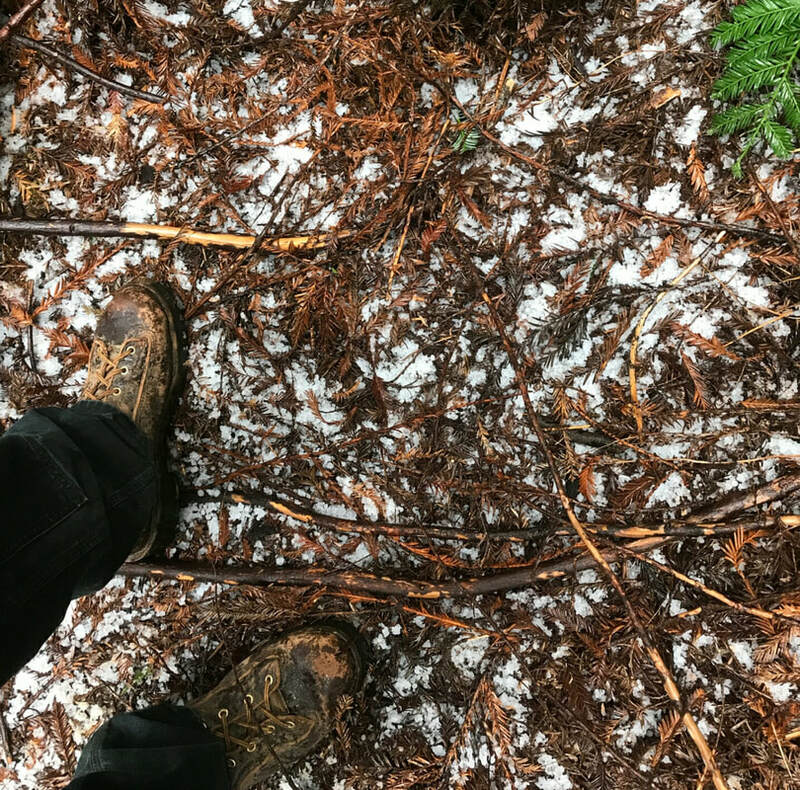 As riders from Humboldt county, rain is an element we've learned to thrive in and were not deterred in the slightest. 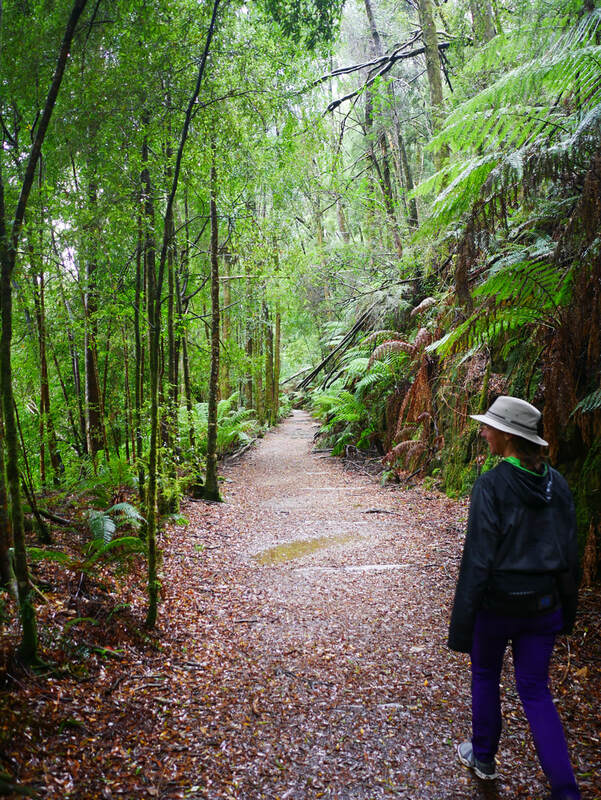 We rallied down the trail to the flow of the wet and slippery roots and grippy granite rocks through a forest of prehistoric ferns and Myrtle Beech trees. Having numb hands and being soaked was becoming a distance memory of Humboldt Country but this was reminder of just one of the many facets of riding I love: Muddy mayhem with friends. We rolled up to the historic Weldborough Pub for a brew and toastie while awaiting our fellow riders. With a high level of stoke in the room, we loaded our bikes for the shuttle to the Atlas trail for nothing other than another amazing rally. 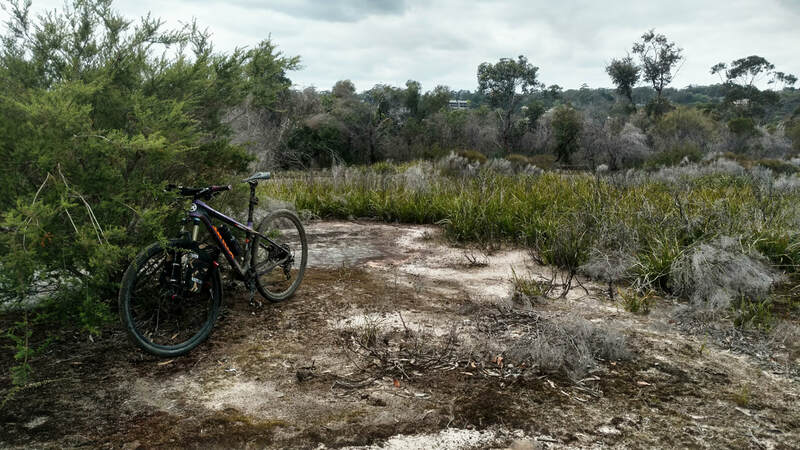 ​The next glorious day of Derby we hopped on the other Vertigo MTB shuttle option: Black Stump Shuttles. 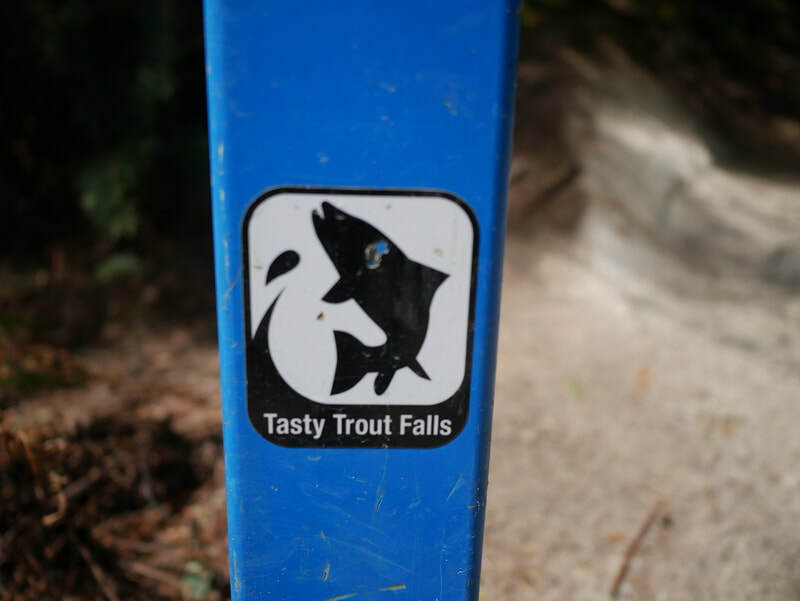 This option offered three fun runs which drops you at the top of the Derby MTB park trail system. From there, beware, because you've landed in heaven: trail options range from an XC loop around the lake-- Dam Busters-- to full-force downhill option of the voted best EWS stage of Shearpin and Detonate. Three shuttles later, detonating into oblivion, we couldn't resist another run pedaling to the top into the sunset. 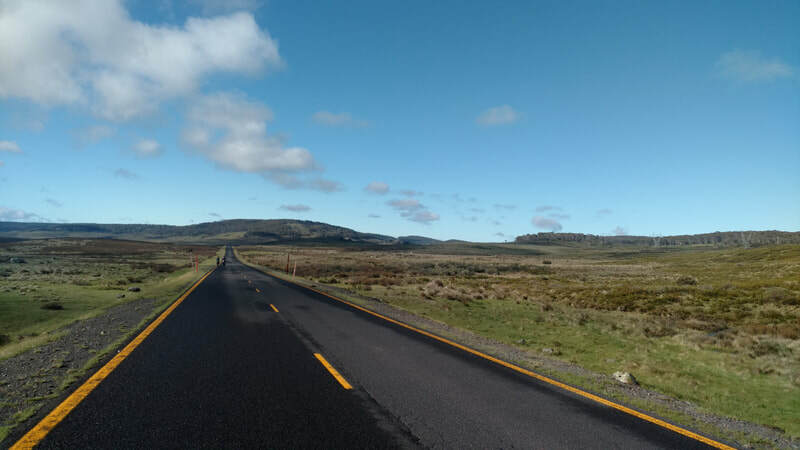 Bright and early like a kid at on Christmas morning, I grabbed a flat white coffee and rallied to the top again and again and once more before we decided we absolutely love Derby but, we should probably explore other facets Tasmania has to offer. Dam Busters XC loop around the lake. The East coast was littered with sights. 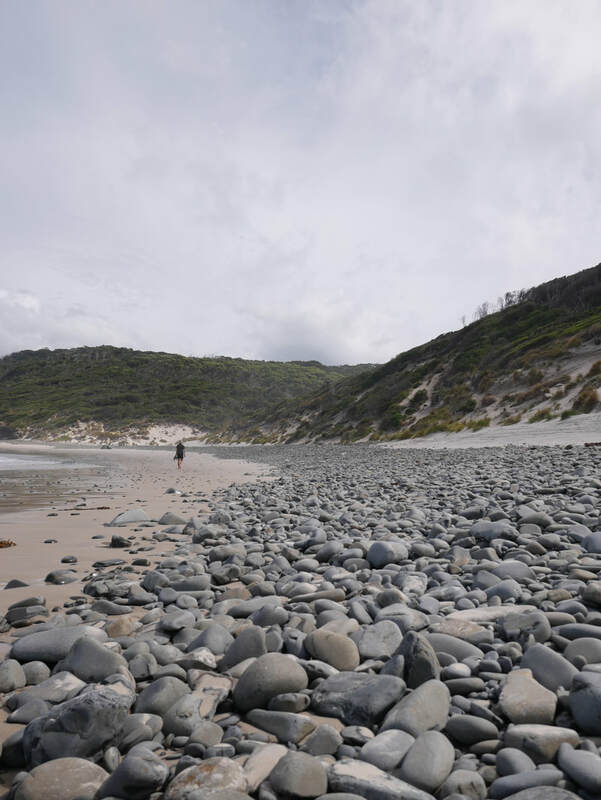 We ventured to the Bay of Fire and Binalong Bay and ran the rocky staircases to the heavenly view of Wineglass Bay. We captured a glimpse of Maria Island yet resisted the ferry ride to explore the island inhabited only by kangaroos and wallabies. 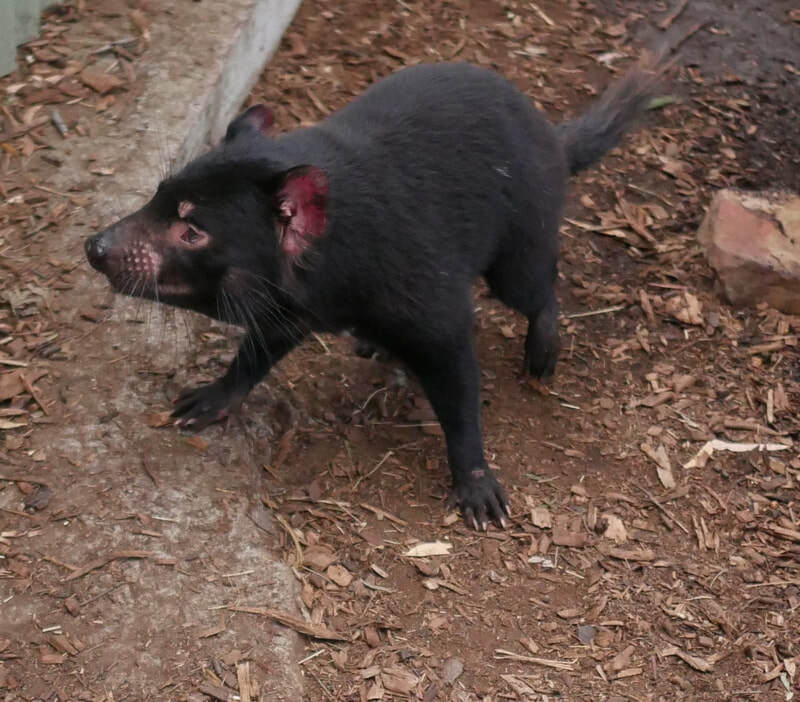 We soon found ourselves in the largest town of Tasmania: Hobart which is located in the south-eastern aspect of Tazzy. Beware the wombats on the way to Binalong Bay. 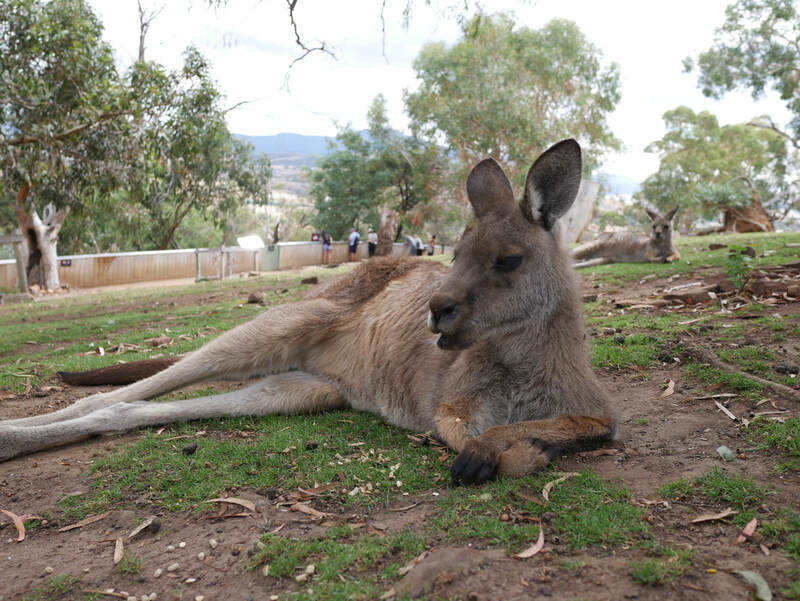 Bonorong Wildlife Sanctuary, just outside Hobart, is a great opportunity to lounge with the kangaroos and meet the Tasmanian devils, wombat, birds, echidnas, blue tongue lizards and snakes alike. As a sanctuary, they rehabilitate injured creatures and release them back into the wild. Funded only by entry fees, I was glad to attend. 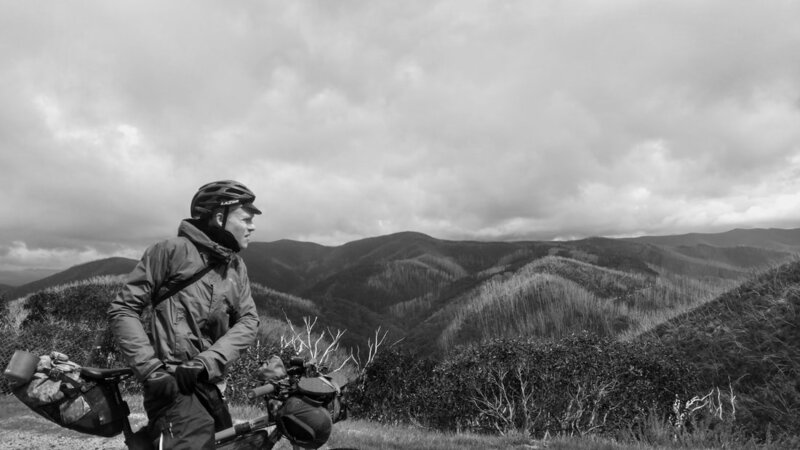 We headed further south of Hobart in search of the southern most tip of Tasmania. 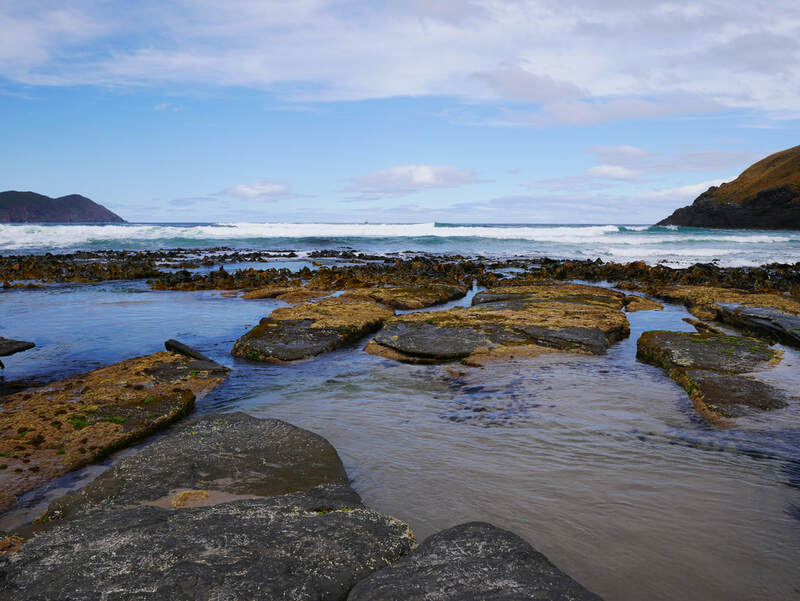 We found a wilderness hike to Lion Rock located in South Cape Bay: the southern most aspect. Looking out at the ocean and knowing Antarctica was somewhere out there-- roughly 1595 miles away-- was pretty amazing let alone walking along an isolated beach only reachable by foot. 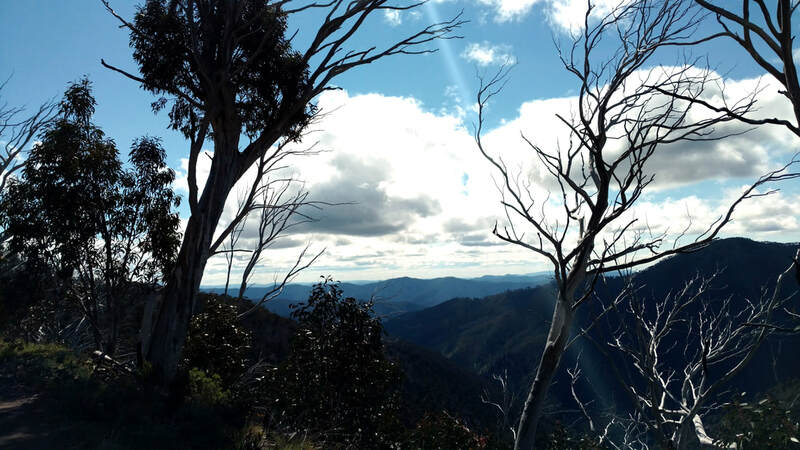 Investigating the map of Tasmania, the entire south western quarter is solely composed of two National parks: Southern National park and Franklin Gordon Wild Rivers National Park only accessible by foot. This limited our exploration but we were okay with that. 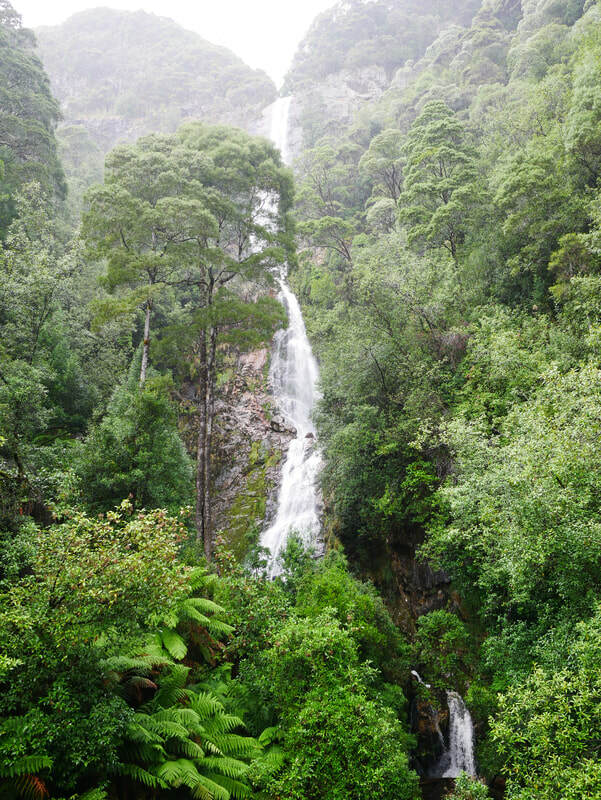 Tasmania is 42% National parks and World Heritage Sites mostly the south and west... truly the Natural State. 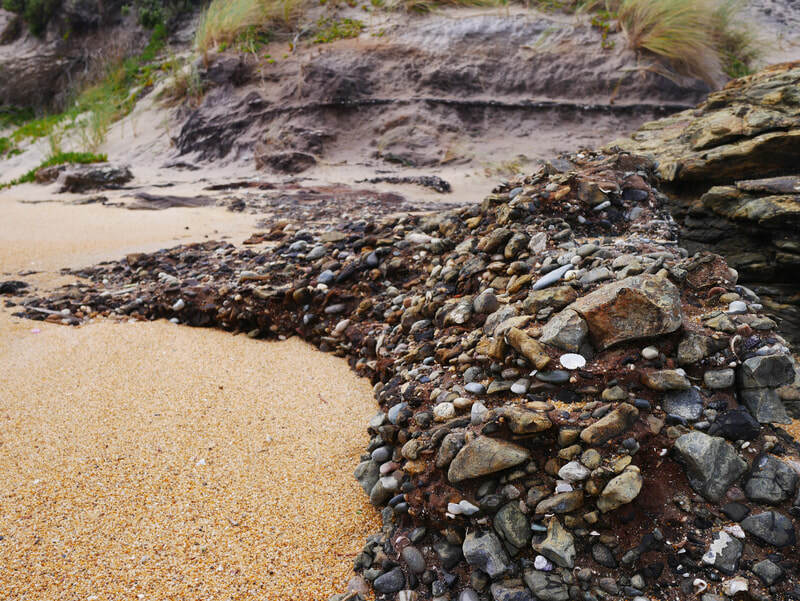 South Cape Bay: southern most aspect of Tasmania. Directly ahead: Antarctica ~1595 miles away! 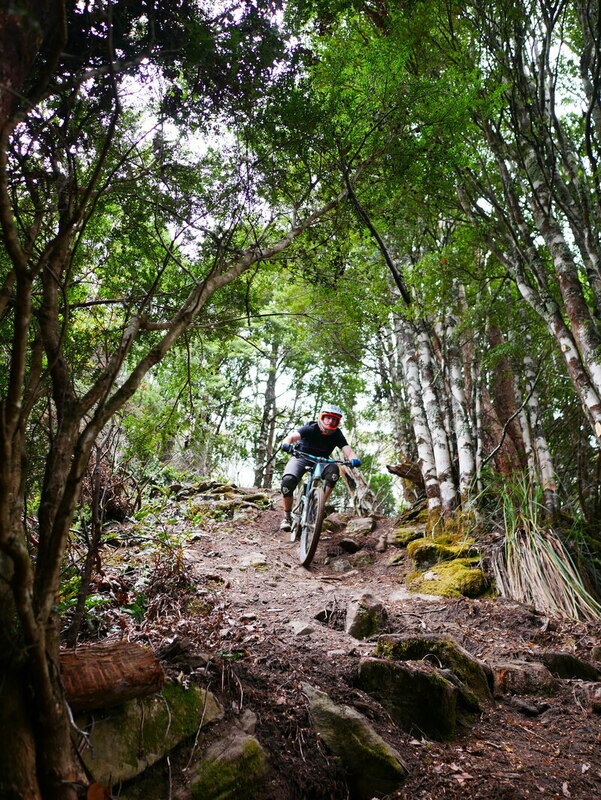 Maydena is located in the southern aspect of Tasmania and is a gravity bike park with shuttles all day. 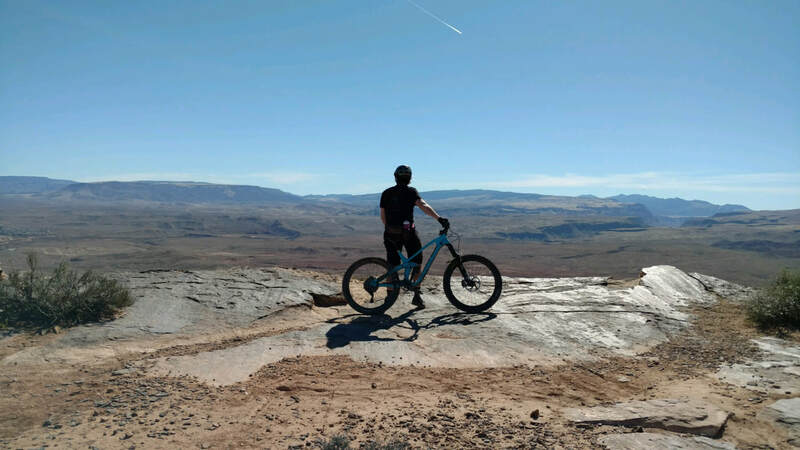 Nothing explains Maydena better than steep, technical, muddy, and a pure thrill: ride and slide the rear tire and ride light over the wet roots and slick rocks. A complete different style of riding than the flowy and rocky aspects of Derby. If anyone says one is better than the other, in my option, they are both equally fabulous... just different. The west coast is always arguable the best coast. Essentially pure wilderness, we found a dirty dusty road to the small town of Granville-- a once solider settlement at the end of World War I and is now has only a few residents with various holiday homes. Beautiful, stunning and isolated. Also on this dusty road was the start of the Climies MTB track which we had to save for another time. Montazuma Falls was a beauty. Slippery shoes kept you keen on your feet on the slick metal bridge. ​A couple hours away, Crater Mountain was calling: the second highest peak of Tasmania at 8,126 feet. Hiking to the top was a venture and with another 5 minutes of vertical accent to the summit the spooks and goosebumps overcame my determined demeanor as a rain cloud washed over the summit. Feeling defeated, I turned and descended. Shorts, a derby MTB shirt, and slippery tennies were not the best option for the big wet boulders. I took a hint from others dressed in warm closes, beanies, hiking boots, and legit hiking back packs... mountaineering is not my specialty, obviously. Despite my defeat, the views were stunning before a cloud of rain turn the views gray. Learned every corner of this trail by the 10th lap. 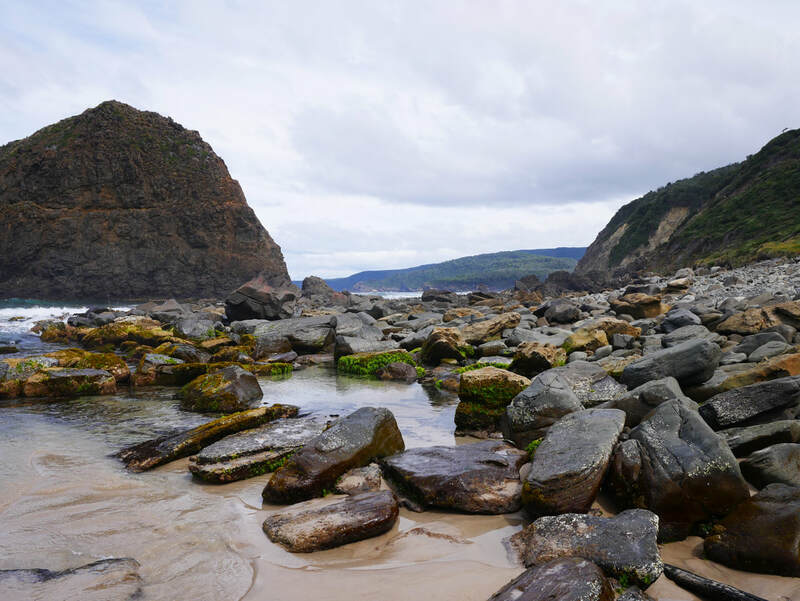 The north coast faces the water way known as Bass Strait which was once a land mass connecting Australia and Tasmania a long, long time ago. 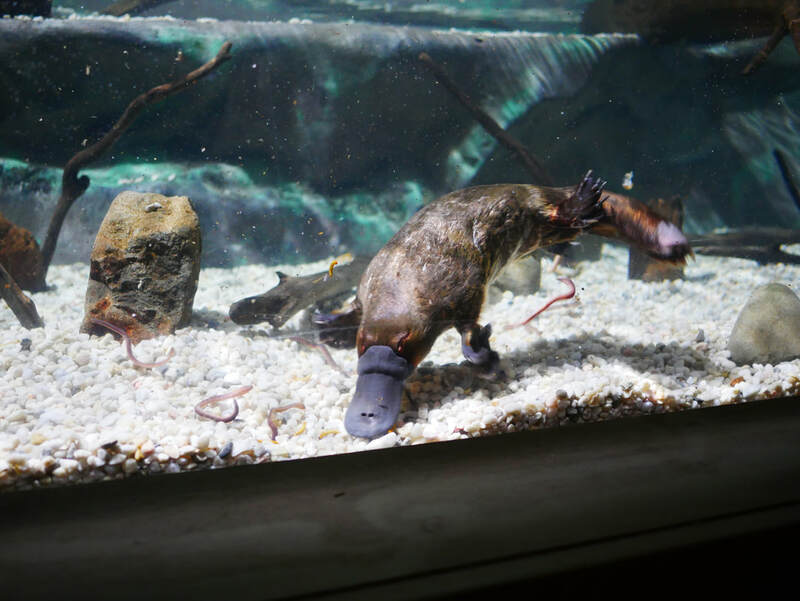 Last day on the island, we were bound to see a platypus: the biological anomaly at the Platypus House in Davenport. 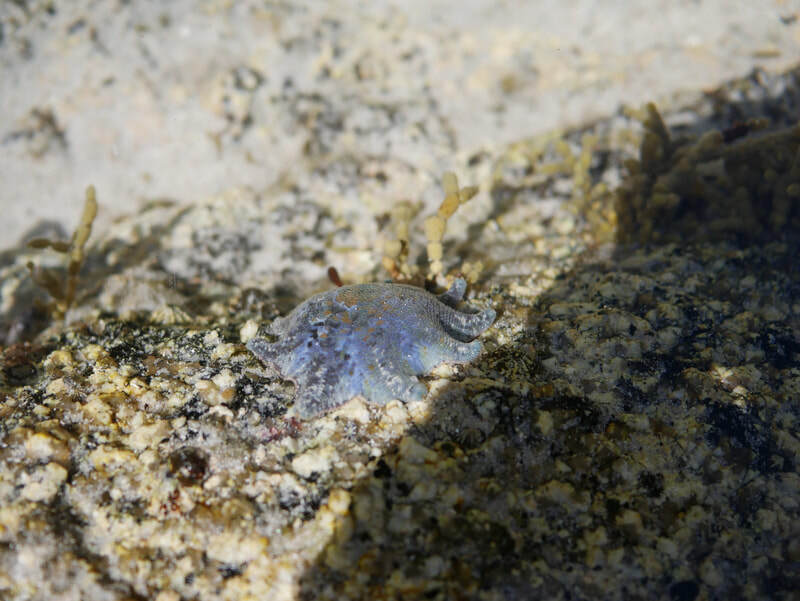 They are cute critters and quite fascinating but have venom that can put any human in pain for quite some time! Last night of two weeks of pure camping. 2019 coming in hot!! 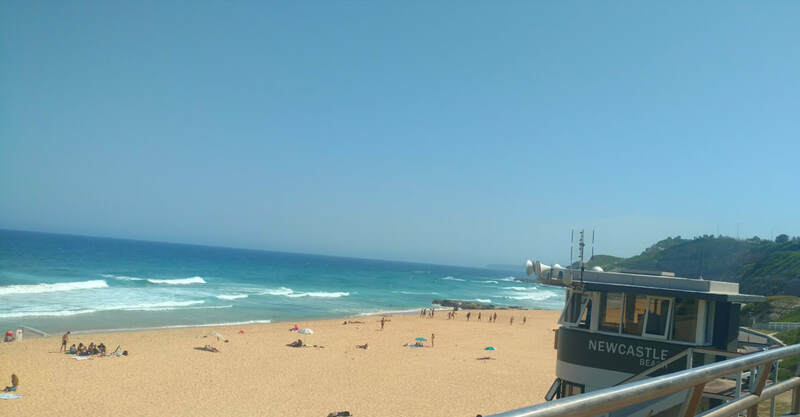 Sizzlin' in Sydney's summer provides nothing other than slathering on the sunscreen and slippin' on the sunnies for a nice ride along the coast... A great kick off to the year of Bucketlist Australia. Just across the way was Lake Macquarie. Also beautiful and specked with black swans I was not able to capture a picture of. Excited to explore even more for 2019's trip around the sun. Bus stop at Central Station in Sydney, Australia. May the journey begin. 2018 route: said to be more challenging than 2017. 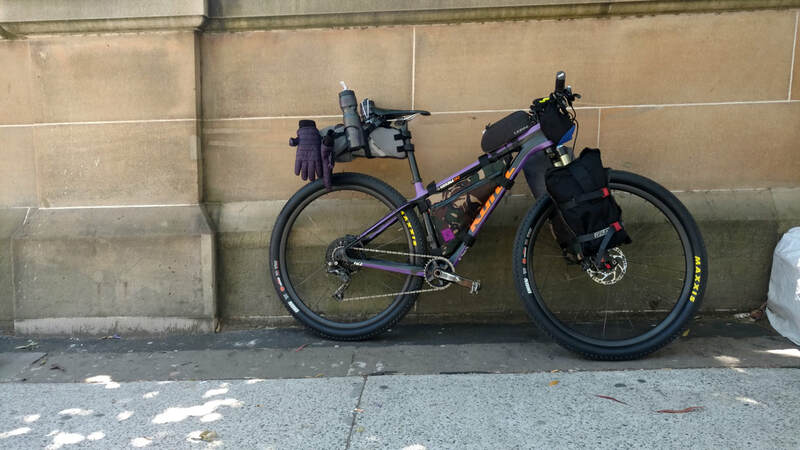 The Hunt 1000 is a bike-packing, self-supported event which travels from Canberra to Melbourne across the Australian Alpines. Spanning 1000 km and 26,000 vertical meters (85,300 ft) there are few towns on route and most days are spent in the wilderness far from any civilization. 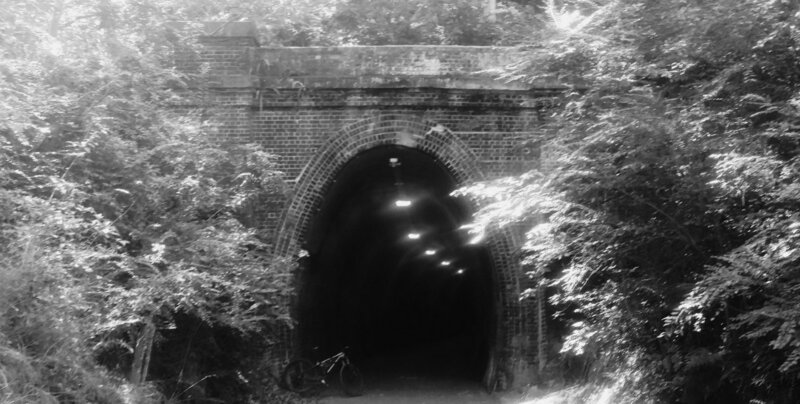 This event tests your bike, gear, fitness, and underlying level of grit. 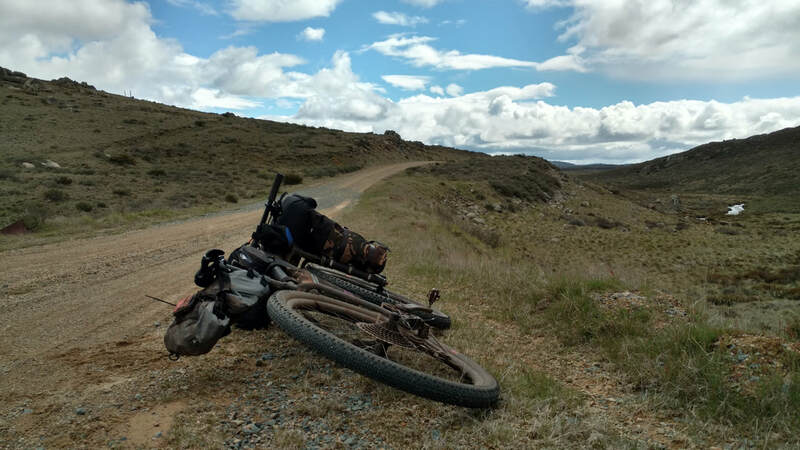 Taking anywhere from 7 to 10+ days, the Hunt 1000 will leave you with amazing memories, broken bikes, broken gear, heeps of like-minded friends, and an experience you will never forget. Weather conditions played a heavy roll this year. Due to exceptionally muddy trail conditions leading out of Canberra and a blizzard in the Kosciuzko National Park on Friday, the Grand Depart was postponed to Sunday. 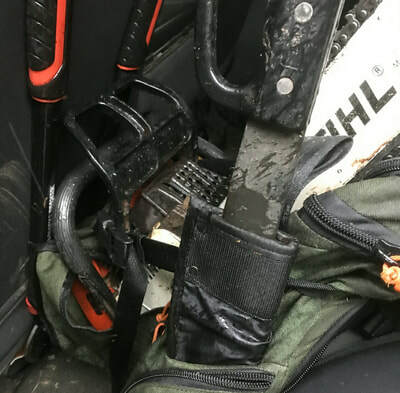 Riders on the 10 day schedule who left two days earlier were caught in the blizzard and needed Ranger assistance to get out safely. Luckily all rider were okay. This did not deter many from still rolling out on the planned date of Saturday morning. Everyone played it smart and made it thru the semi-dry muddy trails with many reaching Long Plain Hut just before dusk and more rain. A broken derailleur shortly into the second day put an end to my ride. It never occurred to me to bring one. After 30 minutes of 5 of us trying to macgyver a way to make it work, the only solution was to hike back to Mt. Selwyn and get a ride to the closet town and head home. At Mt. Selwyn the videographers, Matt and Rob, found me with my broken bike and broken spirit. They surprising offered to do a bike swap. I could not say no to the opportunity to carry on with a new set of wings for a second chance. 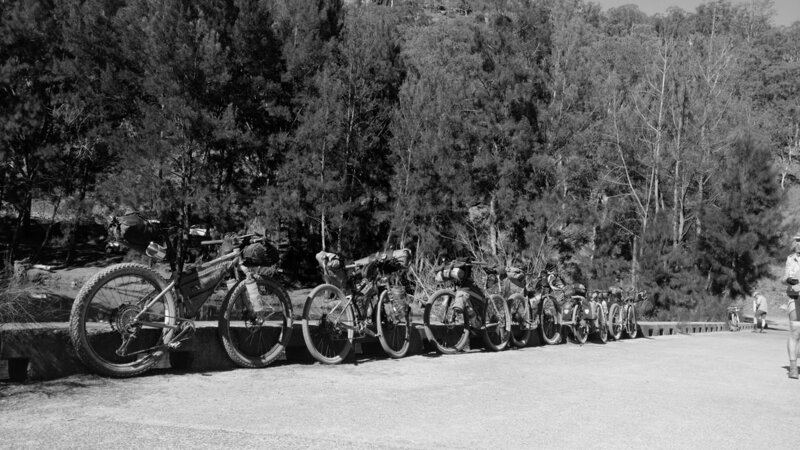 We transferred all my gear and I was off with a new brigade of mates who stopped for lunch. 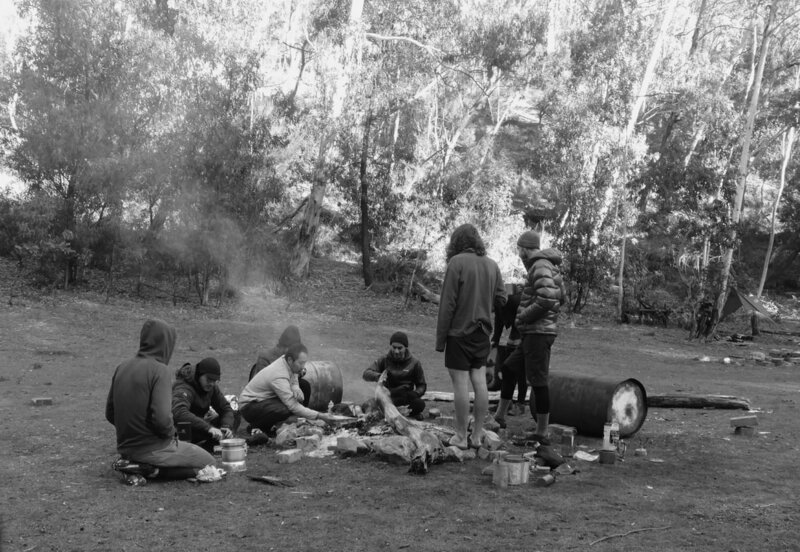 Together we set out towards the beautiful JuJungal Wilderness where we stayed the night in O'Keefe Hut. 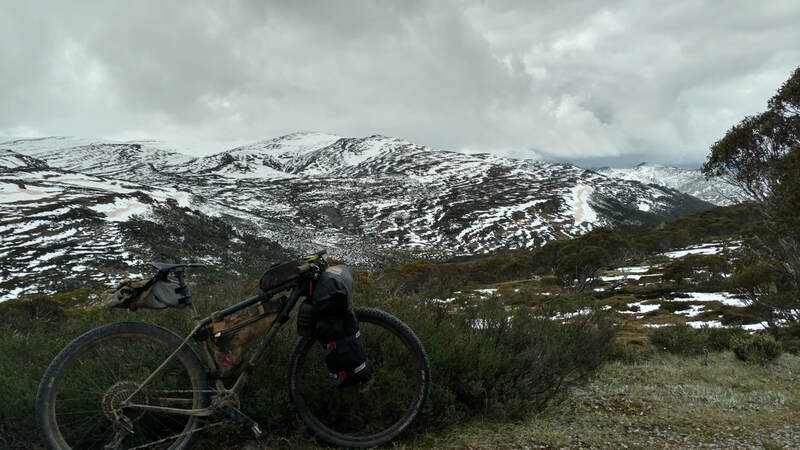 ​Day 2: The Jujungal Wilderness was laced with icy river crossings with some just above waste height. 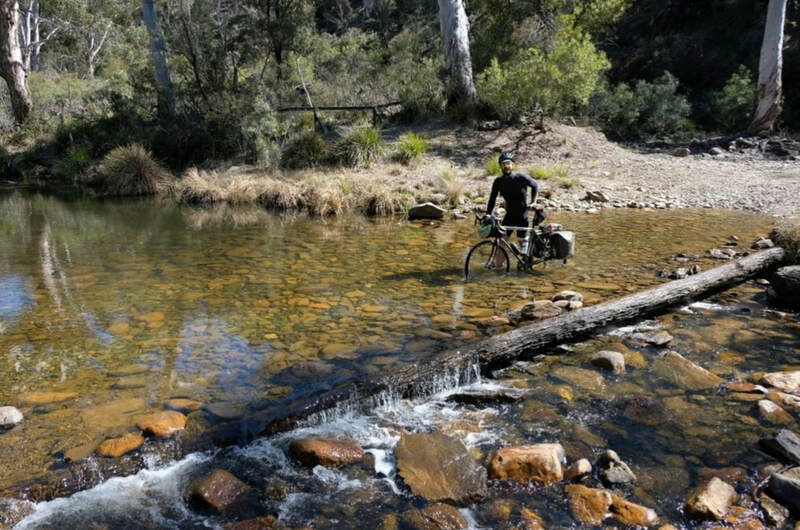 These tested your upper body strength to carry your bike above your head and ability to balance against the current while navigate the rocky floors of the river. 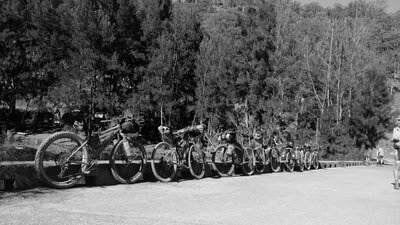 We also pushed our bikes up nearly vertical jeep roads which certainly challenged our overall fitness and prepared us for the days to come. Day 3: Snowy landscapes covered the grounds as we accented to the highest point in Australia: Mt Kosciuszko. The views were absolutely spectacular and priceless and the short hike to the top was totally worth it. Soon after we ran down and played in the snow, hopped on our bikes and we reached the ski town of Thredbo: the first town on the map. We were all 110% ready for the pub. We had one causality who's brakes failed on a water bar descent sending him over the bars. With a mild blow to the head and scraps from head to toe, he walked out cleared by paramedics and with a positive attitude. A clear reminder to listen to your bike, make sure to ride with your mates, or your ride could be over in a flash. Muddy single track with rocks was a fabulous start to Day 4 which lead to-- you guessed it!--many more miles of climbing and descending. We danced down the descent like it was no ones business. We railed every corner and hit loaner rocks which kicked out our back ends. It was a party for sure and kept you 100% focused on the moment. 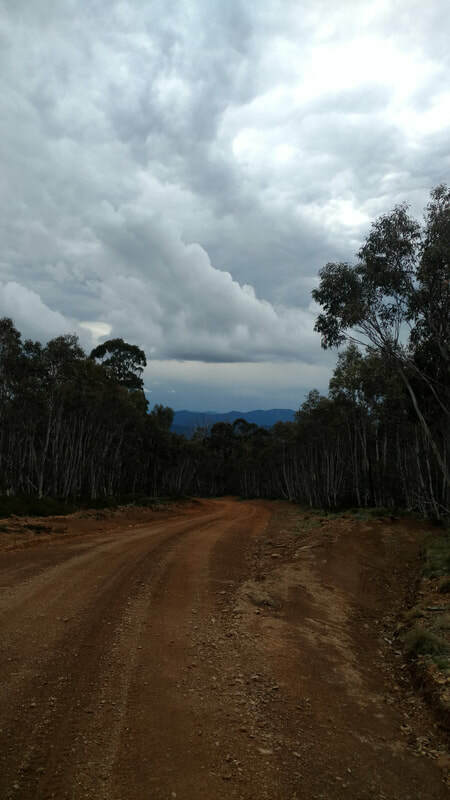 With a storm rolling in, many descended into dusk towards the town of Omeo (which made you think of Oreos the whole time) while a couple of us chose to say in a Moscow Villa Hut. We only had traps not designed to keep out the wind and rain. 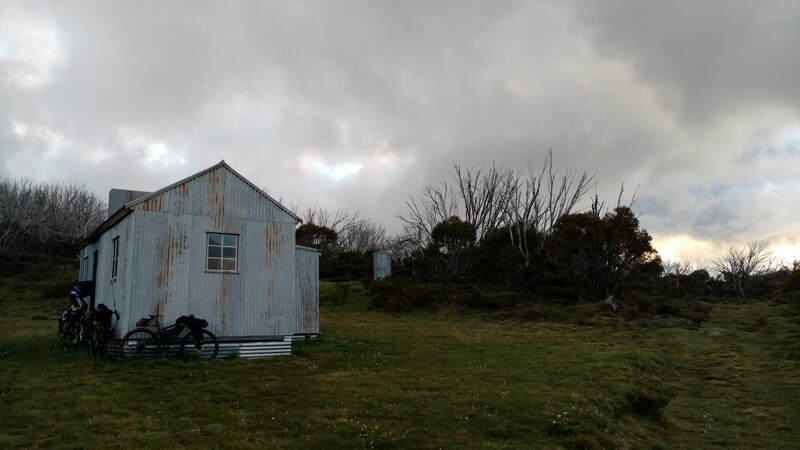 Lying at night, curled up in a sleeping bag, listening to the sounds of the rain thru the night in a tiny hut was peaceful. After four days on the bike I had long left the stresses of school, finals, and Sydney in a land far, far away. 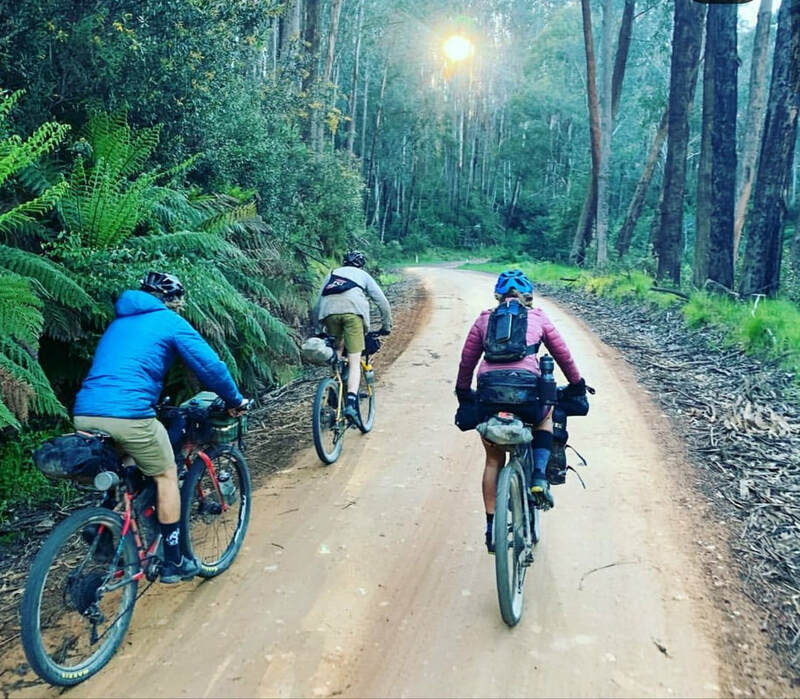 The next morning we descended a misty, fern surrounded, soggy, and muddy path to Omeo signifying the start of the longest day of the venture: Day 5. 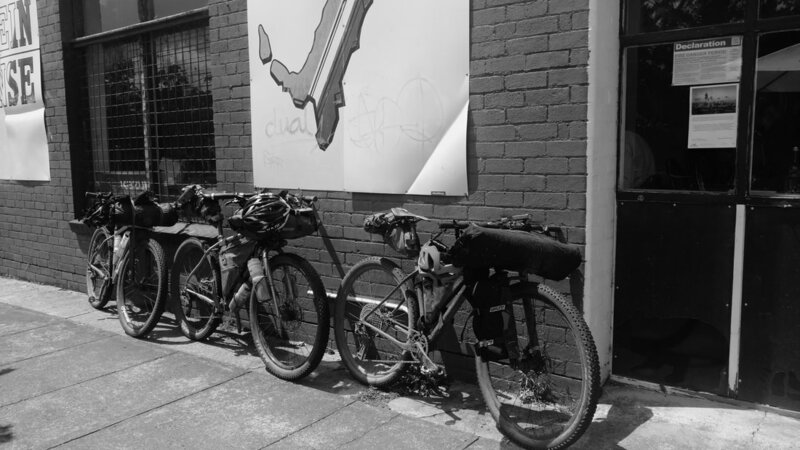 We stopped at a shop and restocked our frame bag pantries with muesli, peanut butter, and what else besides chocolate. To my surprise, the lady even sold socks! Side note: I managed to loose a sock in Thredbo and became the one sock bandit for a day. $6.00 for a fresh pair of woolies and I had toasty toes once again! 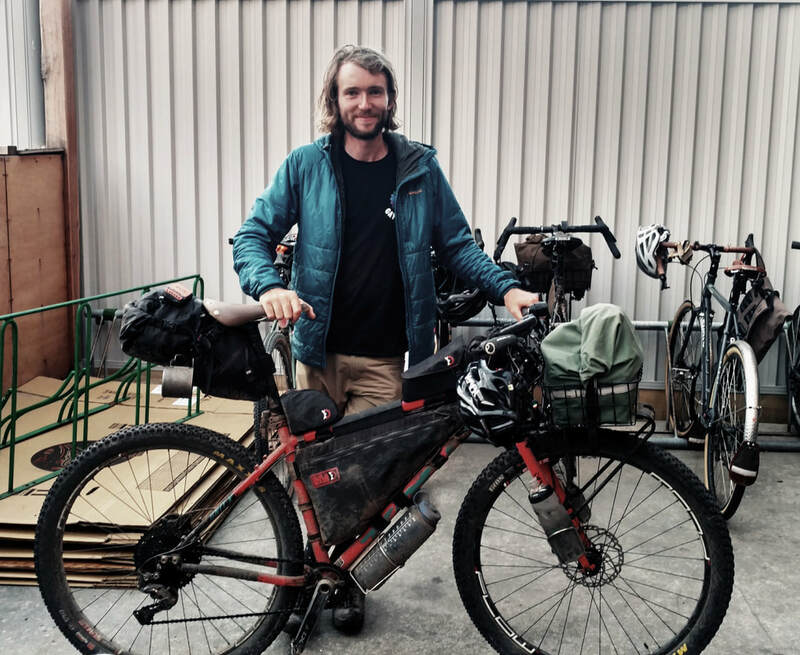 We found the crew down the street at the bakery where Andrew managed to bleed his broken hydro brake (in the rain) with gadgets and baby oil he found around town. Pretty impressive! Descending Mt. 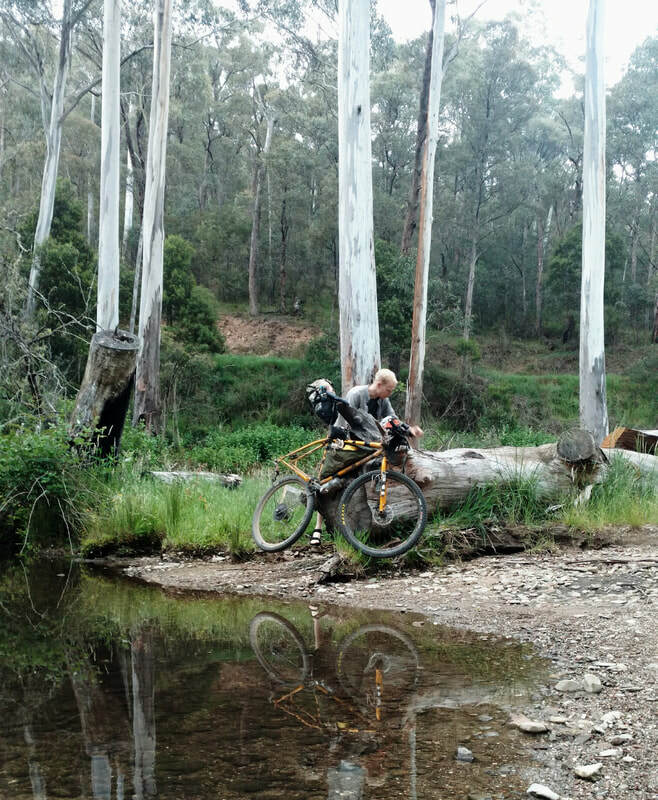 Hotham into the wilderness off-road. It was a long, cold, and misty road climb to the top of Mt. Hotham. We even got Magpie swooped along the way. We agreed to rejoin at the mountain pub. When I walked in the guys said "you looked bushed, mate! Can we make you an expresso?!" I couldn't say no. After regathering and refueling ourselves, we departed into the wild winds which swept away the clouds to spectacular views. Every effort thus far has been paid in stunning wilderness landscapes. The rocky descent from Mt. Hotham demanded your commitment, DH skills, and free-ride endurance to sustain the nearly vertical descents which took far over an hour. Day 5 ended with smokin' brakes, smokin' forearms, and a peaceful campsite next to the river.... All topped off with a campfire where I roasted my ski gloves dry for the next snowy advent or, if you were a clever one, a delicious peanut butter stuffed and chocolate topped roasted banana... mmm, mmm good! Clever tree stump bike-stand for changing out long gone brake pads. Day 6, 6 AM started with the sounds of birds and bugs cheeping away at sunrise. Sleeping past 6 AM was utter blasphemy. Go go gadget insta-coffee and we were off. 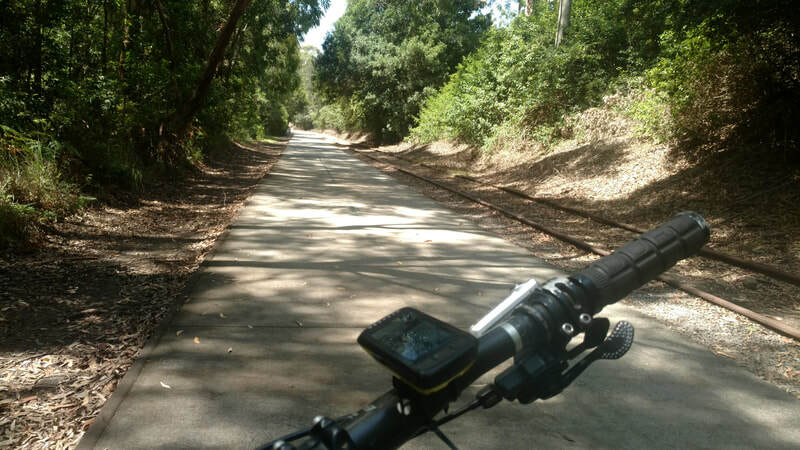 The first three hours of Day 6 was hike-a-bike and rocky fire road climbs. I whipped around a corner on the start of a descent and who did I find but Olly, Chris, and Todd drinkin' from the creek. I felt like Simba whippin' around a corner to find Timon and Pumbaa chillin' at the watering hole. I and a few others managed to catch the crew after my derailleur hanger heartbreak. It was quite the reunion to see them again! Rolling into Mt. Buller at the end of day 6 we were all famished. I particularly crawled to the shop wishing I had Dan's sneaky 24 front ring. My peanut butter jar was empty, my chocolate was long gone, and my instant coffee was nearly out of stock. We all raided the shop and had copious amounts of pizza and beer next door to celebrate making it this far. A bit of some sweet, sweet, single track at Mt. Buller was a fine dessert to the end the day on the ride back down to the Hut. 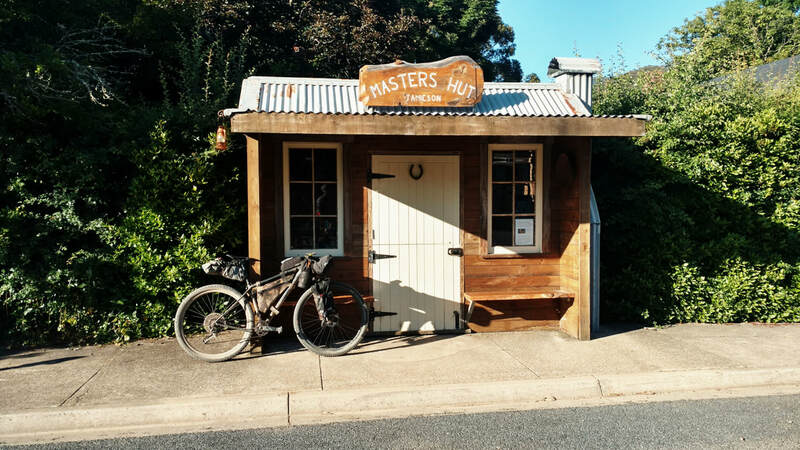 End of Day 6: Mt Buller Hut, bike maintenance session, and hangin' with Enduro riders racing the next day. Day 7: Morning descent from Mt. Buller. A magical descent kicked off day 7 followed with yet even more climbing. The kilometers were coming easier, our overall elevation was dropping, and temperatures were rising. With heat, comes snakes! We saw two Brown snakes and a Stephan's Banded Snake on the open road. Luckily they slithered away as we passed by on the climb or frantically flailed as we nearly ran them over on the descent. Either way, we steered as clear as we could of our slithering friends. I had not removed my pink fluffy jacket due to laziness however, as temperature rose popular demand requested it's removal. It quickly became my magical pink fluffy cape and the standing good joke for the rest of the trip. Coming into Jamieson we rode stellar uncleared, log ornamented, single track along the edge of a cliff. 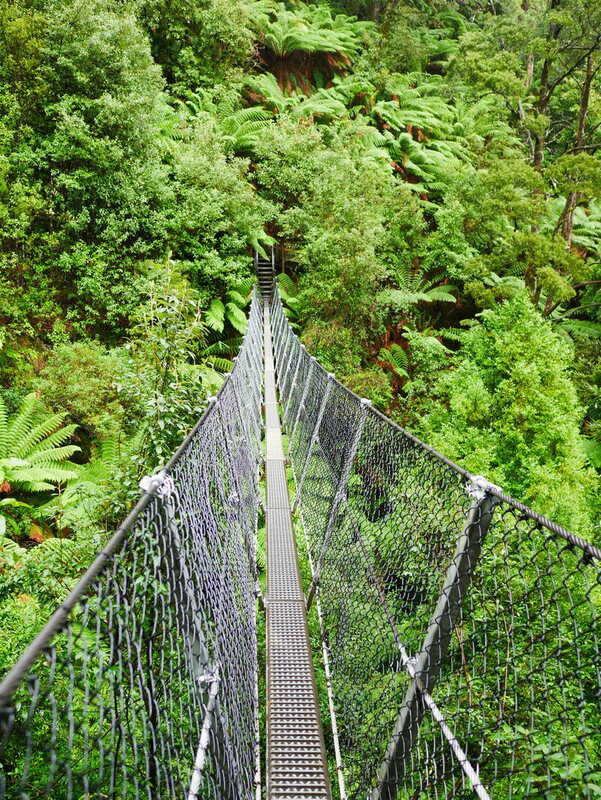 This reminding me of the Portal trail in Moab: don't look down or lose your balance! Being nutrition savvy was a must on this ride. Rolling into Jamieson at the end of day seven after managing the Miranda trail, the party train was famished yet again. We met up with Dan the Man (Hunt!) and his sidekick, Gypse, and had a fabulous feast at the local pub. Our Omafiet amigo, Chris, had rich and tasty lamb and turned up under the weather the next morning. 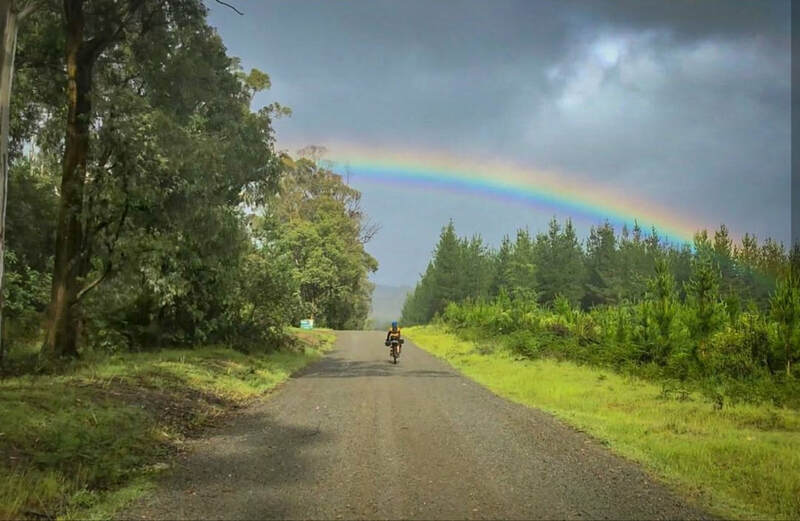 After our AM bakery start, we smashed a huge muddy climb in the rain which rewarded us with nothing more than spectacular rainbows. 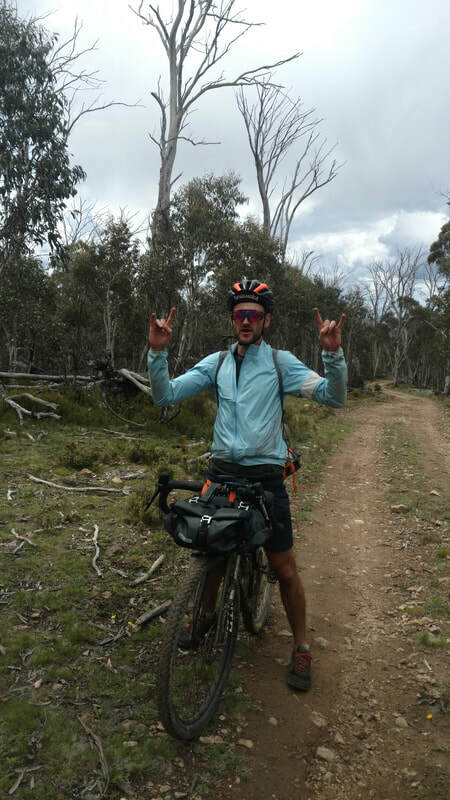 We further railed down a muddy descents reaching ridiculous speeds on our approach to Melbourne. At the top of what a seemed to be endless road climb, we could see the skyline and knew reaching the city was no longer just a thought but becoming a reality. As we descended into Melbourne with 20 kilometers to go we were greeted by the local shredders for a beer and a proper group ride in. 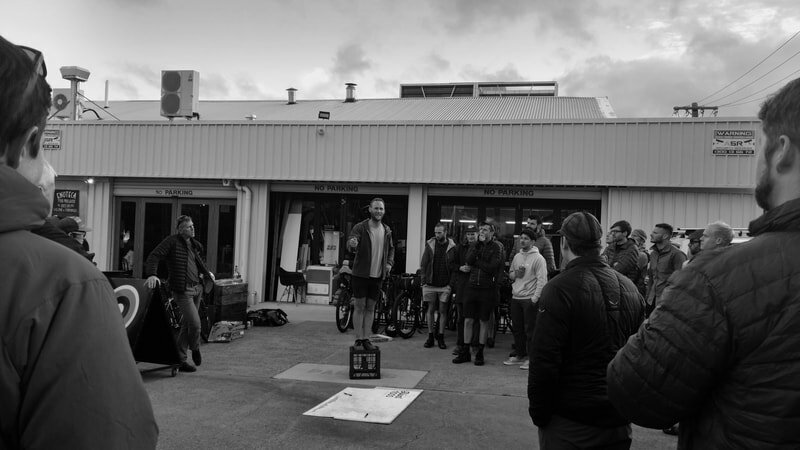 We rolled into the finishing line at the park and I couldn't think of anything more important than to shotgun a beer in celebration of finishing one of the most epic mountain biking experiences of my life. A couple brews later, we rolled over to Commuter Cycles where the after-party Shenanigans began. Matt, Olly, Chris, and I at the finish line in Melbourne. The flying Frenchman Le Pierre finished in 7 days!! Todd's tires were saved by FIVE DYNAplugs! Day 1: Escape from Canberra. 84 miles, 10,000 ft climb. Day 2: JuJungal National Park of icy river crossings. 60 miles, 6,600 ft climb. Day 3: Climb to Mt. Kosciuszko and descent to Thredbo. 47 miles, 5,200 ft climb. Day 4: Thredbo to almost Omeo. 76 miles, 9,500 ft climb. 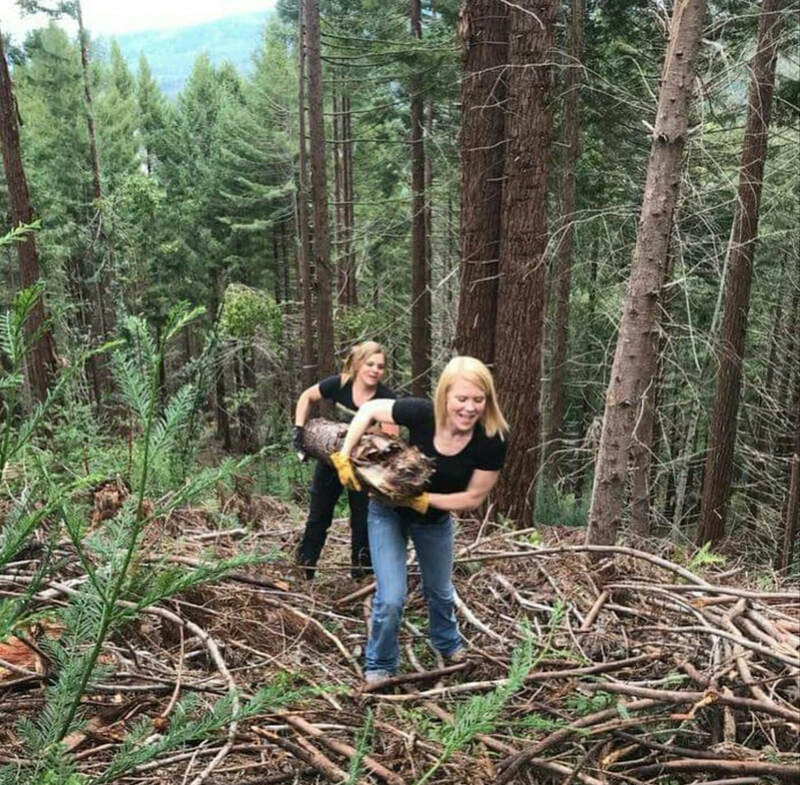 Day 5: Climb Mt. 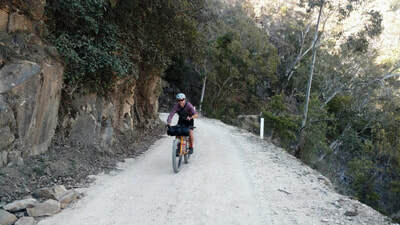 Hotham and descent to the river campsite. 100 miles, 11,325 ft climb. 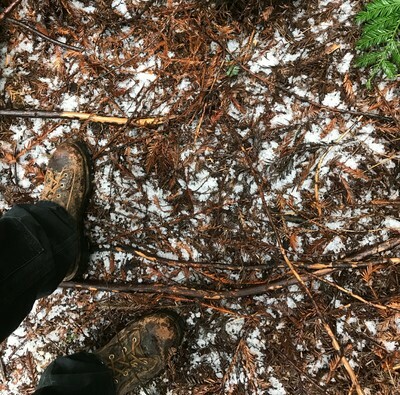 Day 6: Lake Cobbler to Mt. Buller. 50 miles, 8,500 ft climb. Day 7: Mt. Buller to Jamieson. Began Le Tour de Bakeries. 72 miles, 9,350 ft climb. 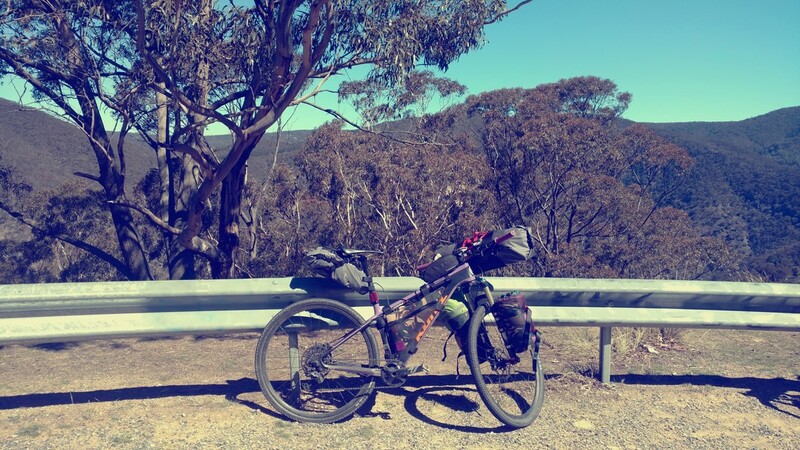 Day 8: Jamieson to Marysville. 65 miles, 8,327 ft climb. Day 9: Marysville to Melbourne. 75 miles, 8,080 ft climb. Photo credit: Oliver Cashman, Andrew Cooke, Dan Hunt, me. Huge THANKS to Chris and Olly (Oliver Cashman) of Omafiet Dutch Bikes for sponsorship, Matt for letting me borrow his bike (technically this is "supported" but this isn't a race so it doesn't matter anyway, mate), all the mates on the trails for making every climb and descent a blast, Commuter Cycles for hosting the after-party, Dan Hunt for creating this experience, my partner Dylan and his family for supporting my endless drive to ride bikes, Revolution Bicycles for creating a monster years ago, and Kona Bicycles because your bicycles last forever but your derailleur hangers do not. HUGE congrats to everyone who came out to this event for it was not an easy task! 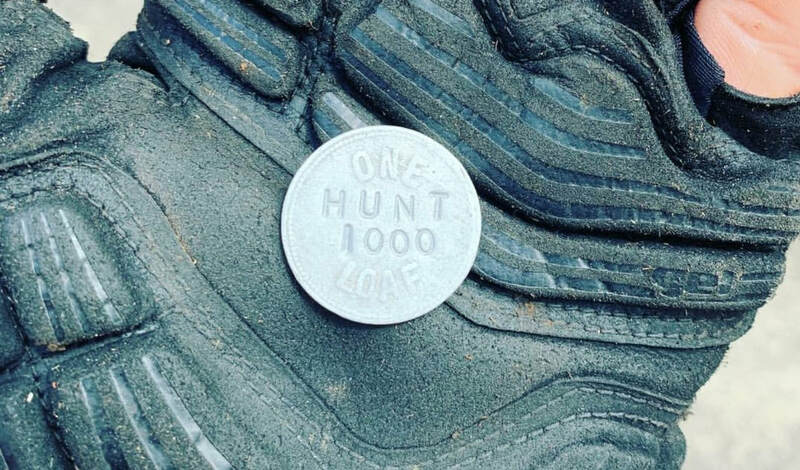 If you are looking for a challenge and an amazing way to check out the pristine high country of Australia, The Hunt 1000 is the event for you. 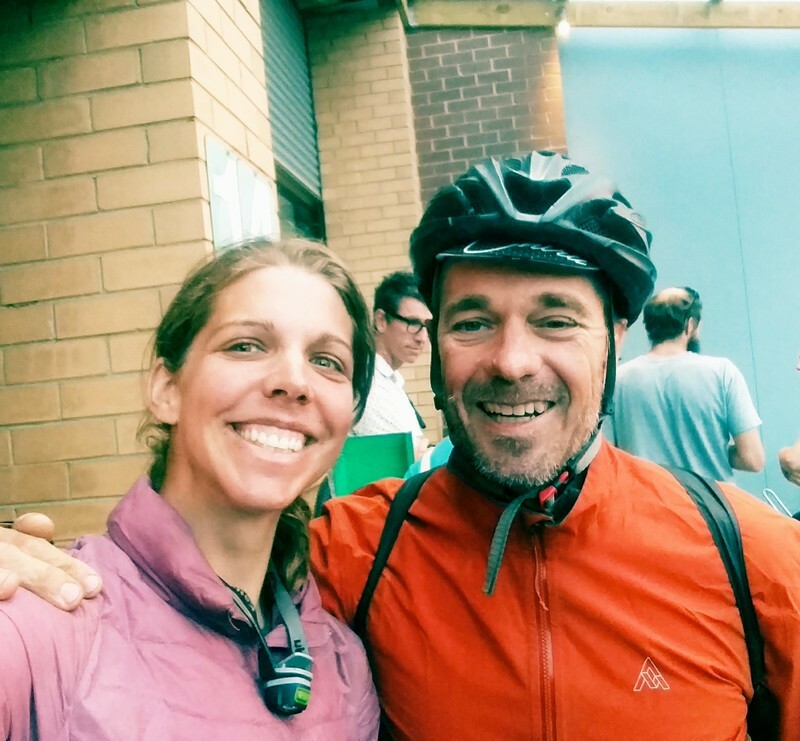 Just remember: be ready for a challenging good time, be fit for anything, be able to ride anything, be prepared for all weather and terrain, be prepared for any kind of bike failure (including a derailleur hanger!) and be ready to have a good time with your mates. Just do not underestimate the difficulty of this event. This is not a grand-fondo or a supported MTB stage race. 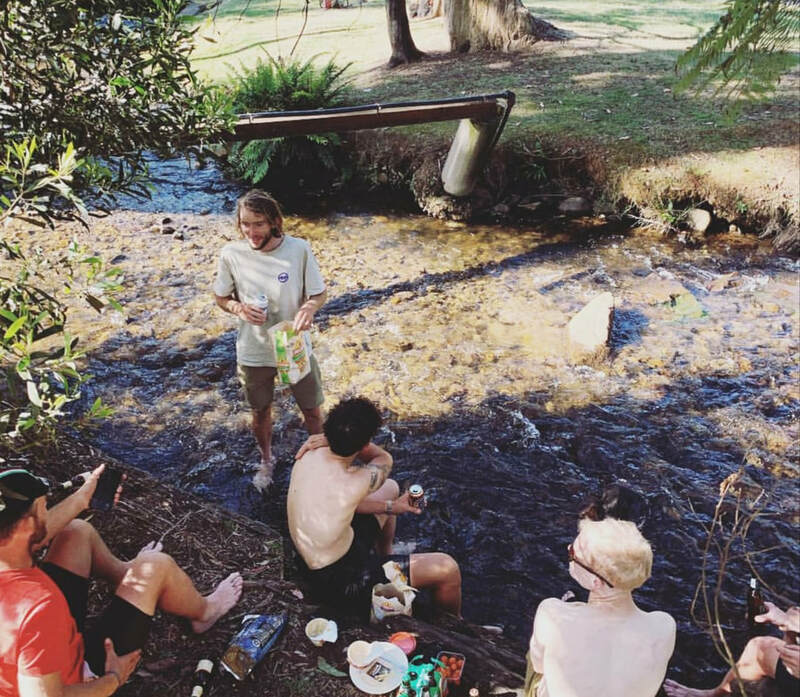 It's you, the wilderness, and your mates to support each other on a party train across the alps. 10 days later at the bus stop in Sydney, Australia.... The End. Feeling a little swiss cheesy for poor entertaining poetry? 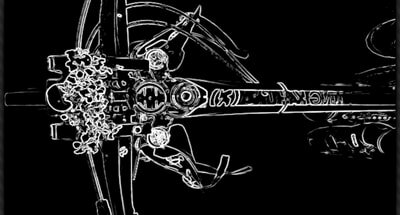 What did I hear but a clunky derailleur? "Hay mate, can you fix this, righty-tighty and adjust this failure?" Oh my gosh! My derailleur’s on the ground! This bike is older than ages. They all have each-other for fun company. "Your tracker stopped moving?! Is anything wrong at all?" It's the thing I didn't bring, and our apoxy didn't hold." And saw my despair, I couldn't hide bad luck. we'll just swap your bags and you'll be long gone." "This mate doesn’t know me, I'll destroy his bike in one shred,"
Those thunderburts are amazing but don't last longer than a shrew,"
you can join them, they're quite the fun bunch." This bike was a rocket, my gosh it shreds! "Where did you come from? We thought you were ending?!" I'm aiming for the Hut, this dusk is getting quite cold!" I smashed a burrito I passed out like a light. 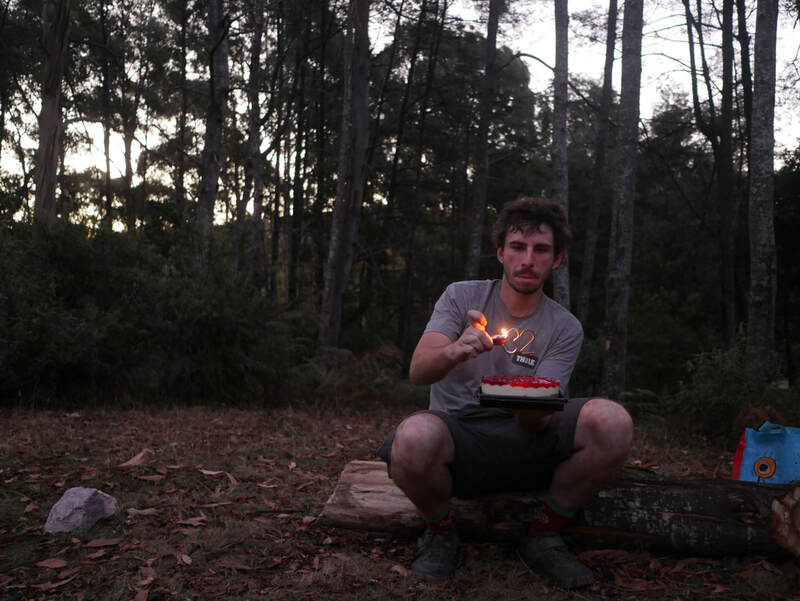 Streamer of Dreamers: Bike-packing the Bush. on a nice long weekend. it was quite the fun rip. we flew despite our lack of propellers. or a sip of whiskey to warm you instead. at the stop was a view beneath the warm sunlight. it was a party train for sure just as we intended. to enjoy the train ride home sharing our elation. and will go ride a bike outside, it's free! Home on the Hei Hei -- Transitions. My Hei Hei race bike lie dormant in the garage having not been ridden for weeks or sprinted on to fly with fierce intention. 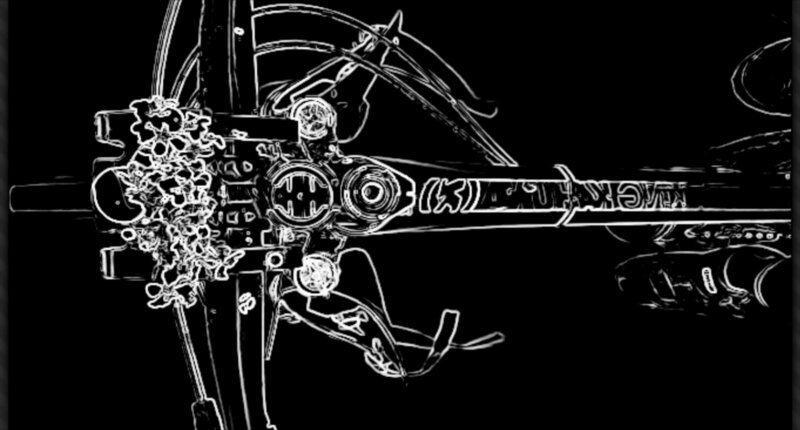 Rather, a broken spoke from a piercing ping of a landing keeps it still in silence, cooped up like an animal in a dismal garage with a neglected injury. 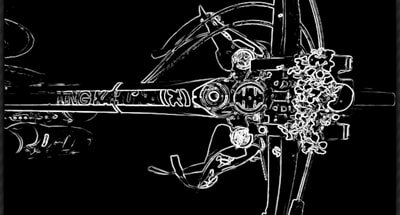 A broken spoke similar to a broken part of myself neglected in avoidance to ignore igniting a blindingly savage drive for performance. With a bit of love I fixed it up and I took it out for a rip. We sprinted to every yellow stoplight, sprinted against the horsepower of the utes and sprinted on every section of single track. 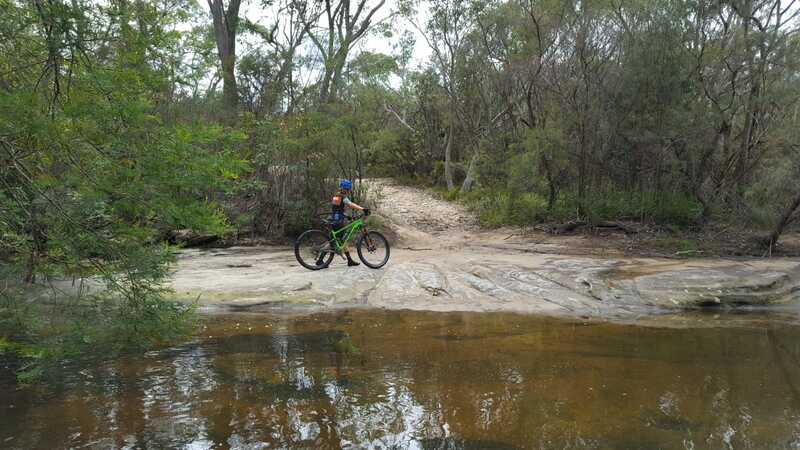 We railed the dusty desert dirt of Sydney's flowing trails and we pumps thru the berms and over the rollers and jumps. We climbed the rocks and danced down them with diligence and delight. And lastly, at the dusk of the day, we sprinted round a wide street corner with razor sharp skill to a solid line. A line to my imagination unconsciously became a finish of a world cup. A world cup race I will never race. 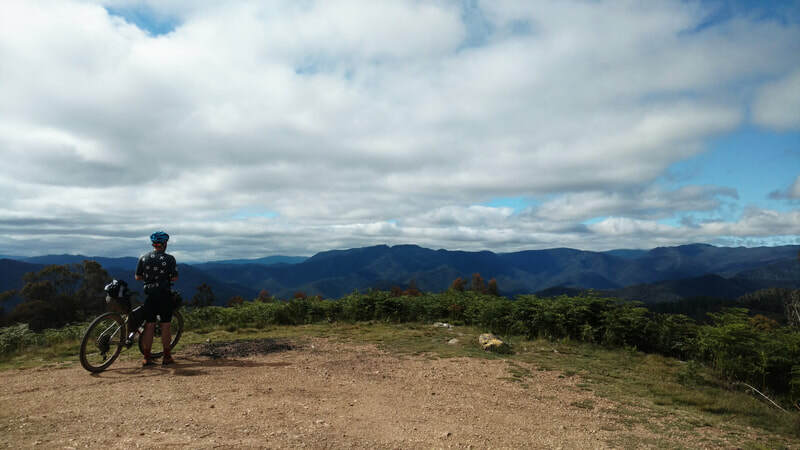 A winter's day riding bikes in Garigal National Park, NSW, Australia! The trails of Sydney, Australia. Can I say will blow your mind?! 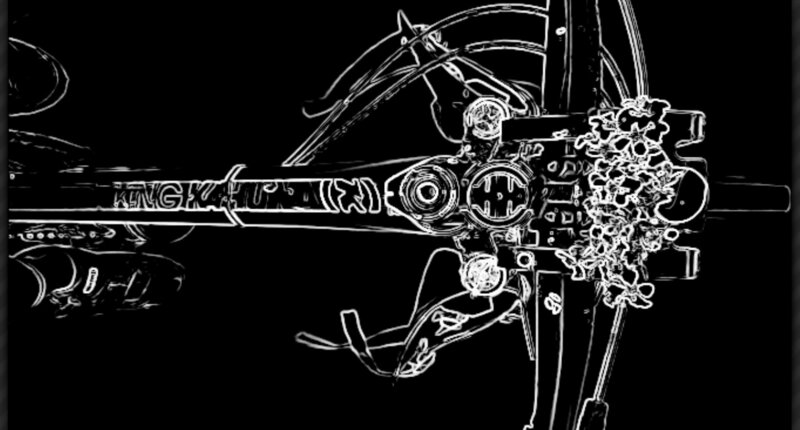 Not only are they boulder laced heavy metal rock and roll headbanger music style going down (if MTB and music had matches) they are rocky technical, show-me-your-power going up. The best part? They lie within the wilderness depths of the concrete jungle of Sydney... in the wild wallaby temperate forests. 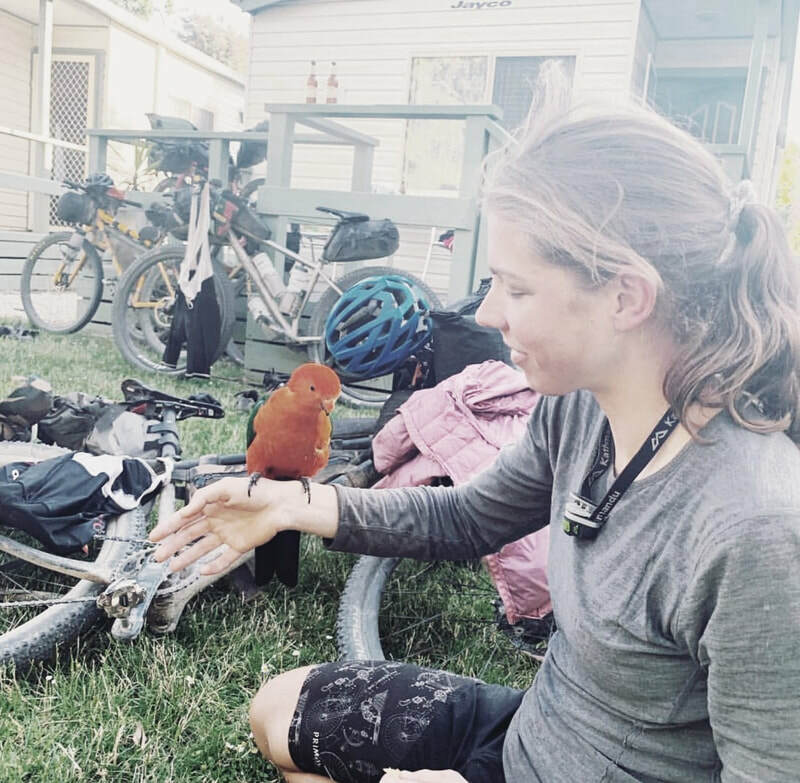 Coming from a small town where the trees outnumber the cars and the riding serves up duff and mud, Sydney is everything the Humboldt Homelands are not. 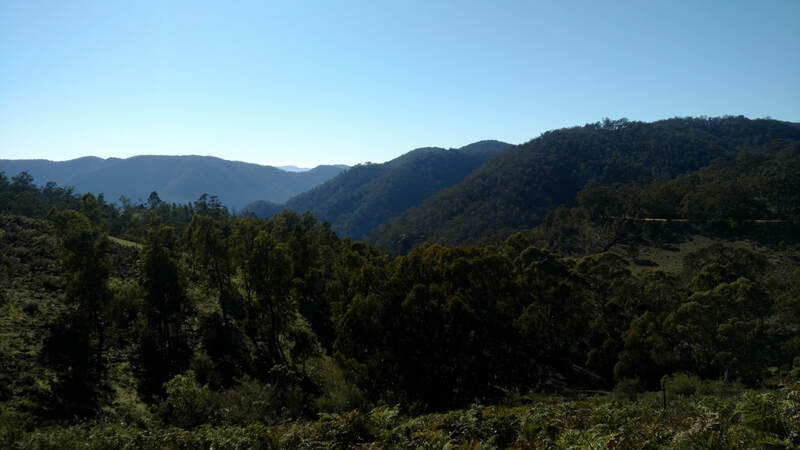 The Garigal National Forest is my most frequented temperate forest riding spot six miles from my house. These trails will take your suspension to the max and the first time down them I think I hiked more than I rode. 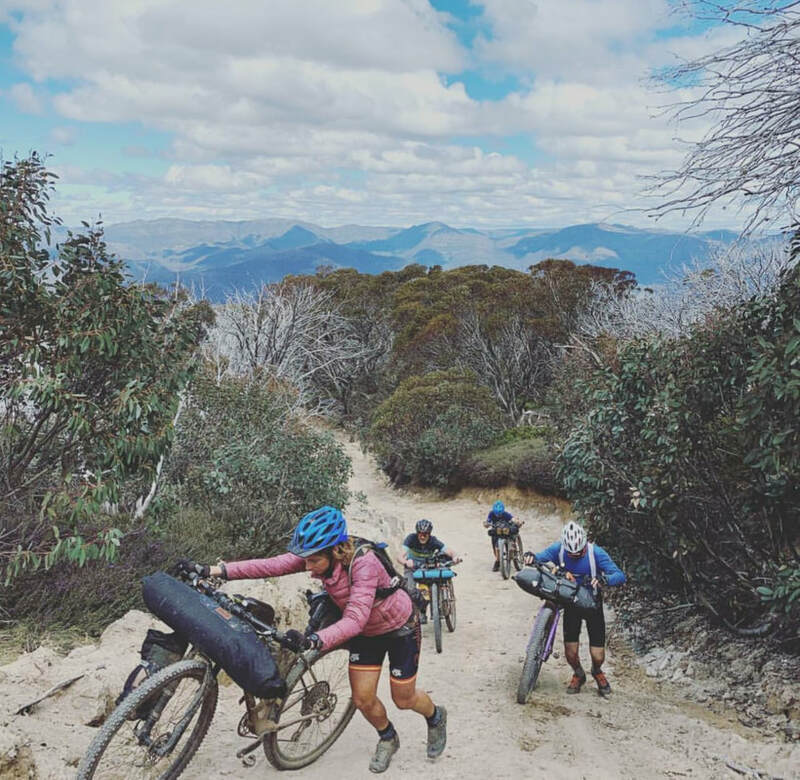 You stick to the rocks and there is a lot more force with every hit and pedalling to the top is not an easy fire-road climb... and shuttles are not an option. Manning my Green Machine Kona Process was more than a workout to say the least. 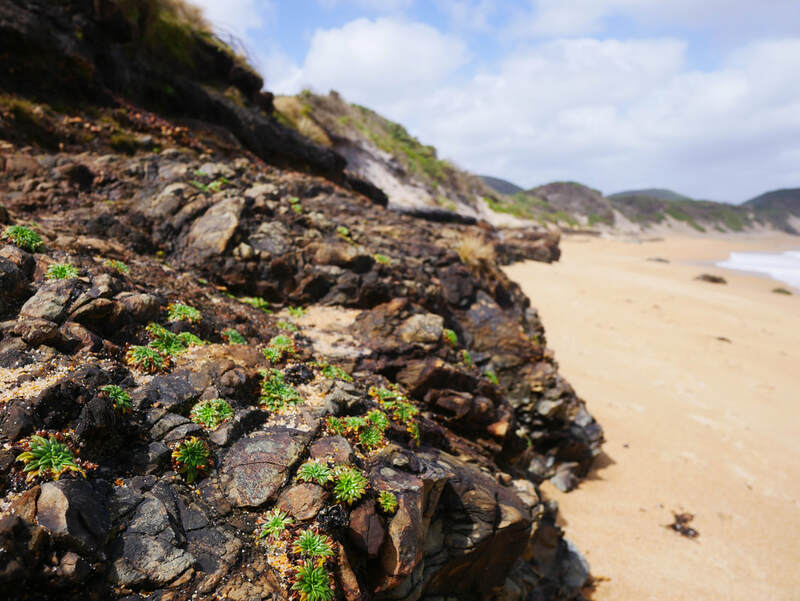 There are a few drops and features but mostly large rocks and sand. A completely different riding style than Humboldt presenting with a whole new MTB experience and challenge. But this struggle was quite okay for there is so much more than just the trail. 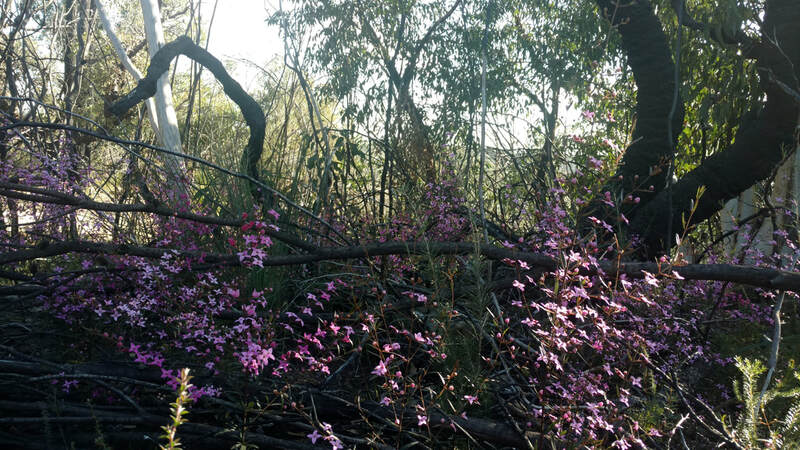 The forest is composed of so many different flora and fauna. Garigal watering hole to the Twin Peaks loop. Watch out for fox poison. 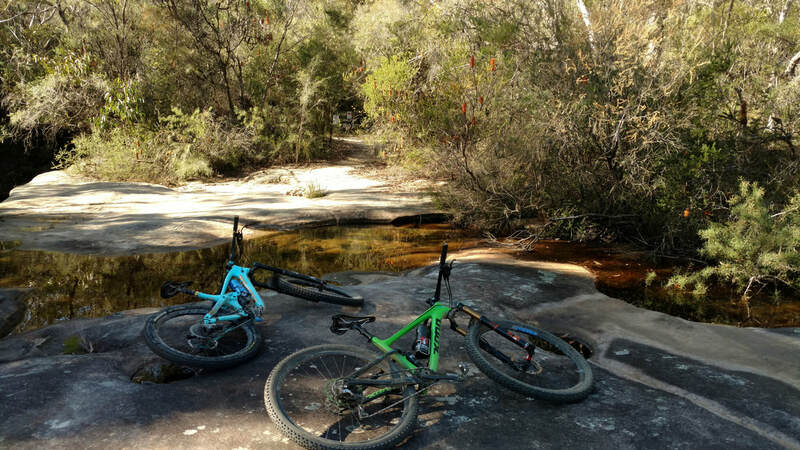 ​​With a bit of a drive on the left side of the road more trails can be ridden similar to Garigal but more challenging and MTB structured: Narrabeen and Oxford Falls. Narrabeen will certainly challenge your rock riding skills or... if your like me... will develop them quite quickly. Drive north into the Bush and BAM-mo-ram-o! 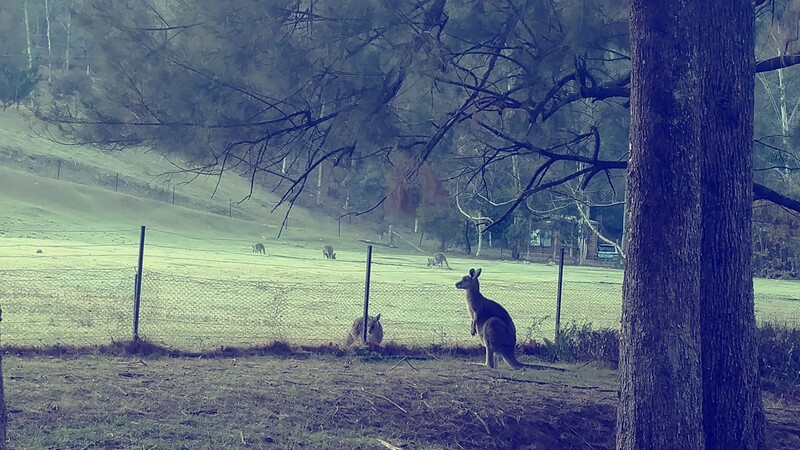 Awaba has an EPIC world class DH but also an incredible XC course thru a legit forest where wallabies roam 'round. Riding this in circles is like listening to The Offspring: fast paced turns, dips, roots and rocks and never a dull moment. SO good. 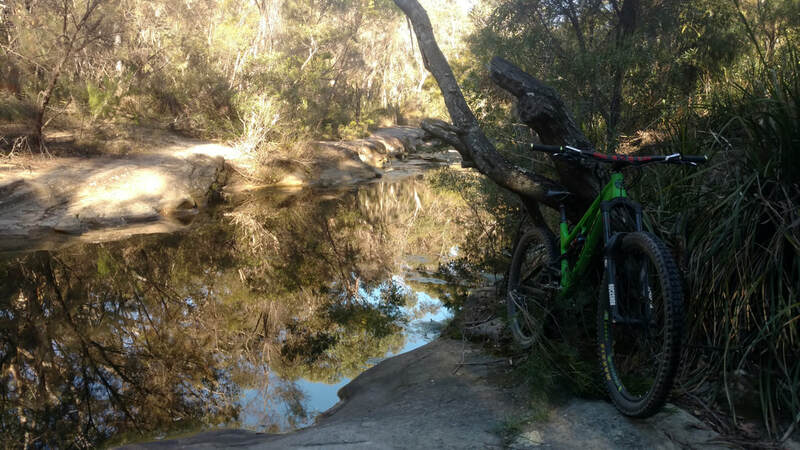 If Awaba XC is your style, don't forget the pit stop at Ourimbah for a little more delicious XC shredding. Gravel grinding can also be a thing if you are more on the road side of life. 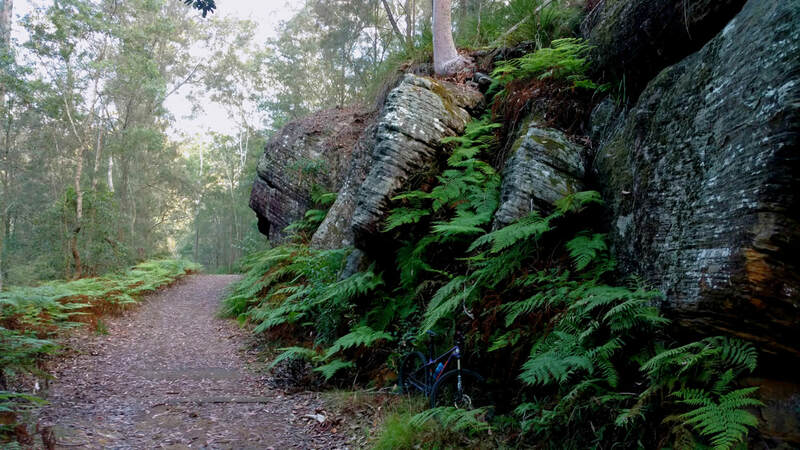 Ku-ring-gai Chase National Park offers an unparalleled ride thru the forest with gravel grinding off-shoots to the coast. 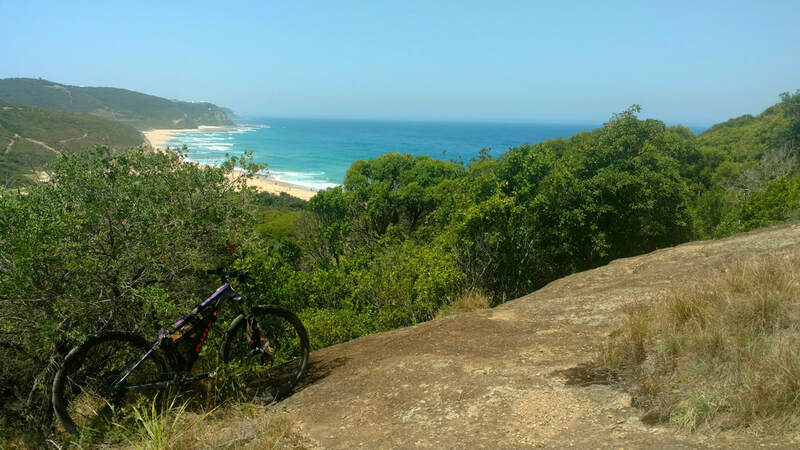 Although I have not had the opportunity to ride every trail, I can say the MTB riding, geography, flora, and fauna are outstanding. If you come to Australia to ride MTB full suspension is a must and don't forget a leg work. ​Cheers and thanks for reading! P.s. Although the riding is epic, challenging and all that jazz it certainly isn't the same when you don't have your Humboldt Homies by your side or your shop to go to and have a brewski... miss ya. 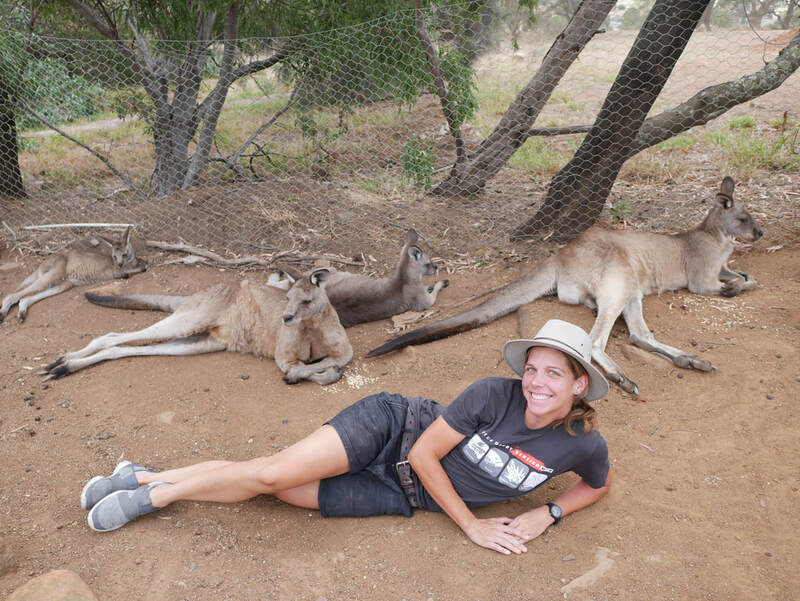 The mellow Humboldt life was all instantaneously paused for an adventurous opportunity down under to earn a supa- fancy DPT degree. Without the opportunity to attend a school in the states, Australian schools loved what I had to offer and accepted… with quite a bit of application work and a hefty tuition (actually less than the states) with timely loans (establish good credit kids!!). It was my one shot to make it in the Physiotherapy world and with overwhelming encouragement here I am... there wouldn't otherwise be an option. I actually couldn't believe it because it was a standing joke over a beer. Having climbed to the edge of my potential in the XC world I figured it's time to let the XC dream go and carry on to a new epic adventure... A completely different challenge than racing a bicycle which I have worked to perfect over the last six years... and is by far the hardest thing anyone (I believe) can ever do... I have sympathy for anyone who thinks racing XC MTB at an elite level is a "hobby" or rather, a past-time. It is hard work paid in health, freedom, and maybe a few hard-earned medals along the way which no one can ever take from you. There is no cheating, no short-cuts, no slacking... just a bottomless pit of enjoyment, hard work, figuring-it-out, and thou shall not forget party time. What is there not to love? It's easy to have one obsession and give 110% but it harder to show up to your job the next day where no one understands. I mean, we can dream and do our best to train and perform like Nino but there comes a time when you realize you can't be like Nino rather, can at least appreciate and be a huge fan. Anyway... enough of that. 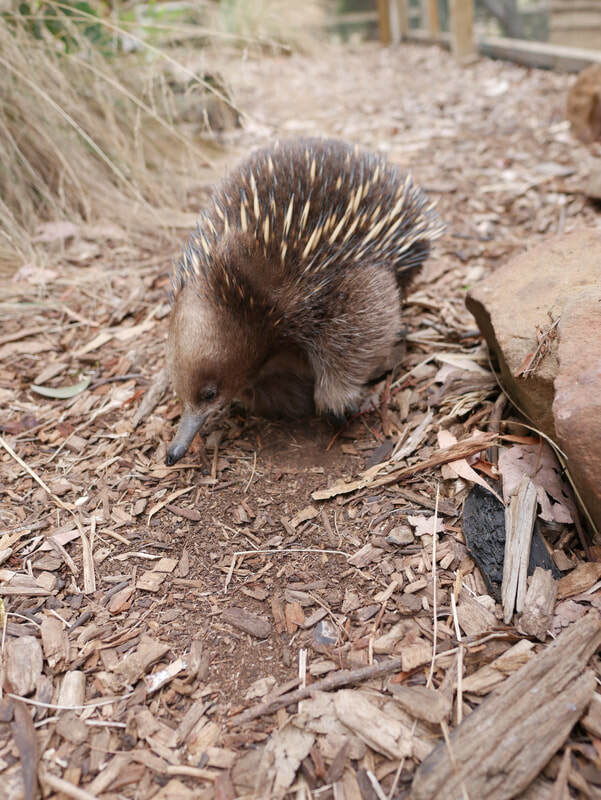 Having only been down unda’ for a couple days, we haven’t quite found Nemo or 42 Wallaby way but did manage to ride on the other side of the road, check out some cockatoos and fauna, the Sydney opera house, havanavo (have an avocado) and Vegemite sandwich, and get lost on the public transit system. 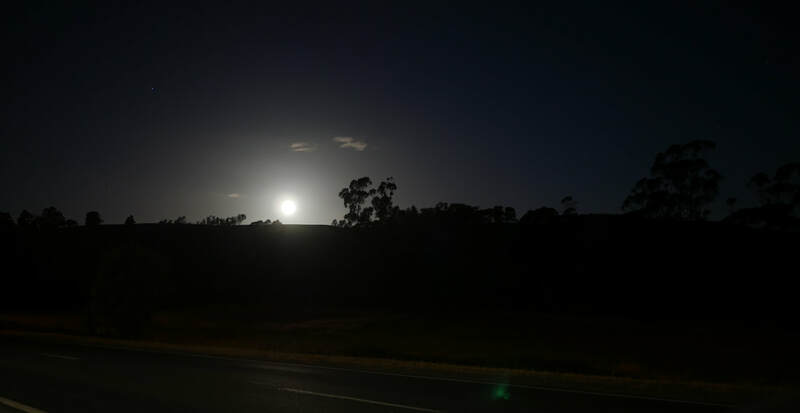 Hopefully, we’ll be able to make it out into the bush in the next couple days, experience some dirt of the southern hemisphere’s and perhaps the starry night sky. Also… it’s true. Regular coffee does NOT exist-- only espresso drinks-- and natives know you’re from the States once you speak. Nor CA folk have quite the piraty Rrrrrrs… Pirate riders. ;) Hopefully I'll have a sweet Bush adventure to share in the near future and perhaps get it together for a few races. Until then, thanks for reading if you read and keep ridin' your bici! Sea Otter Classic-- the fastest women on the planet travel from around the globe to race at the Laguna Seca Raceway in Monterey, CA. And this year I lined up with them. Three years ago I lined up for 42 miles of suffering and experienced what it's like to race the fastest and what an experience that was. Three years had gone by and I learned a lot. This year I was more comfortable with what I was up against... the best are going all out. The start line was like rolling up on a red carpet among the stars of the UCI elite XC race scene. The ladies were decked out in full sponsored kits, the latest and greatest bikes the industry has to offer, make-up, umbrellas, support crew members, and cycling paparazzi ready to snap a picture of the creme de la creme doing what they do best. Everyone had call-up stating their sponsors and accomplishments. They reached the last 1/4 of racers-- the local grassroot shredders like myself, shooting for the stars and hoping they can hang in a different universe for the next hour of existing in another state of mind. I was last to be called up with a "rider 225" which brought back memories of being the last kid to be picked for dodge ball but still ready to put the best possible effort... probably to most stoked and with the biggest grin out there. With a minor starter crash in the beginning of the short track, I stayed on my bike. "Sorry I hope you're okay!!" I flew on my Kona Hei Hei like a rocket to catch the pack. Everyone was already strung out but I used my thunder thighs to sprints across the tarmac and pass a few girls here and there. I could certainly tell my good DH times on the much heavier Process 153 had paid off but didn't quite have enough endurance to do anything better. However... it certainly felt good to hear a bunch of people yelling my name especially a bunch of little girls shredders! The XC was yet another day on the red carpet and again, SECOND to last to be called up. I guess I earned some UCI points. Whoo-hoo! The count down began and I thought I'd sprint to the front on the outside and there I was, next to the leaders... for 5 seconds... until I started running out of fuel followed by a gravel pit which put me right back where I started. Feelin' like the coolest person in the world after racing the fastest in the world. 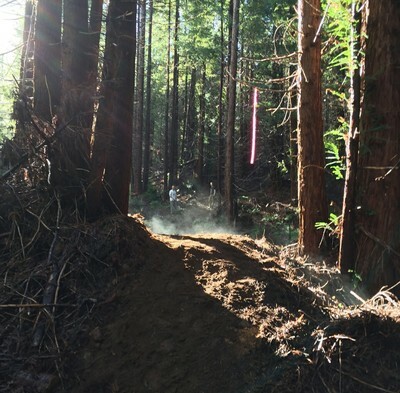 Before too long Sea Otter had come to an end and it was time to return to work and the redwood carpet of dirt and duff ready to shred with your buds. Flying with the stars was a blast and glad I had the opportunity and ability to do so. 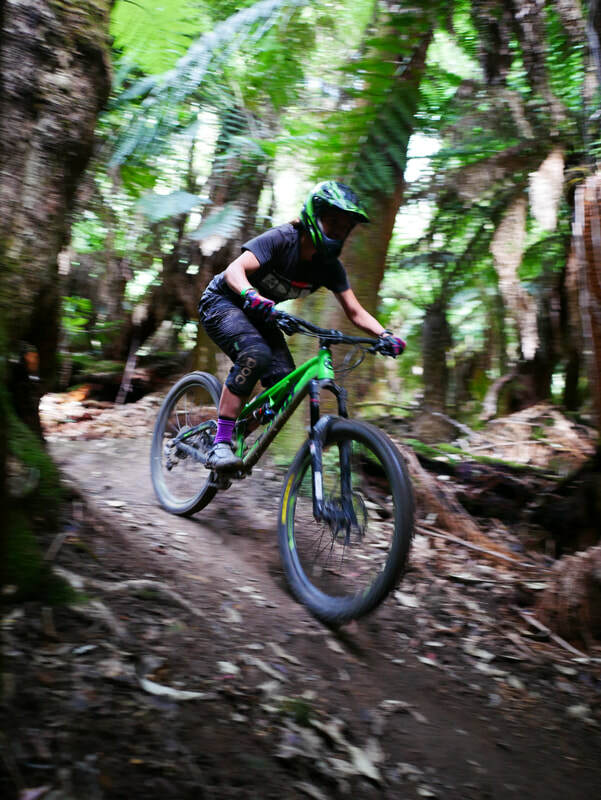 Huge thanks to Revolution Bicycles, Kali Protectives and Kona Bicycles to being totally RAD and endless support for my crazy MTB riding and racing shenanigans!! Brapp! Dual Slalom cheering on the best! True Grit Epic was just that. Epic! This race was the first of the NUE-- National Ultra-Endurance -- Race Series and has a reputation for being the toughest and most technique of them all. Also, for myself, the Yin to the Yang of riding in Humboldt county. It all started with the 14 hour drive from the wet and rainy Humboldt County to the dry and deserty open lands of St. George, Utah. I was totally aware this was going to be a Yin experience to all the mountain biking Yang I've come to know. 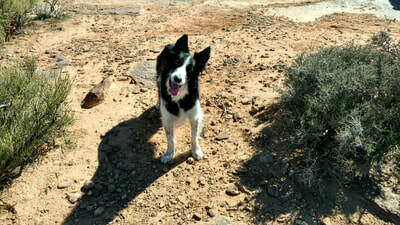 No trees, open desert, no slippery root or mud rather, velcro rocks, not at sea level rather, starts at 2,700 feet, 100 miles in March, not August. Good times were about to be had. Upon arrival, a quick rip on Zen was a good calibration to rock riding and let me tell you, these rocks are everything muddy wet roots are not. There were 75 of us at the early bird start line ready for this epic adventure. Ladies took off fast and furious while I basically enjoyed the experience of riding everything opposite of what I know. :D I was sticking to rocks like a lizard. Climbing and descending the Zen trail was a test to handling skills and trusting your tires. After a good beating on Zen we entered a good chunk of flowy jump line action. It was exceptionally easy to get lost in the flow of the various jump and pump line options in contrast to finding the fastest most energy efficient path. Before I knew it we were climbing back from the boondocks with nothing in sight but the amazing views of wide open desert and red rock mesas. A loop on Barrel was quite fun with more rocky climbing and descending nonsense. Again, totally opposite then the tall redwood forests of Humboldt County. 50 miles down and 50 more to go. The second lap is always better than the first. Climbing the Zen trail, man handling up the rocks the second and more experienced time was much better than the first. 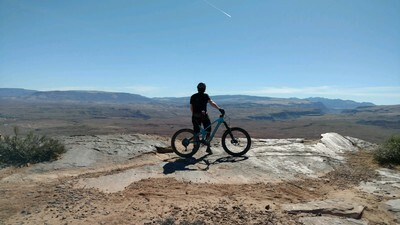 The descent was a dance down the trail like a musician hitting different notes in blissful mountain bike harmony. The open flow jump line section was a stellar good time once again and the wide open climb nearing the end was a test to your ability to stay focused. Crossing the finish line with a salty face and satisfied soul I was in search of a beer but the grounds were free from such beverages. Luckily a couple friends had some to share and question why the 100 miles. I figured I drove all this way the ride the desert I have to get my money and experience's worth. 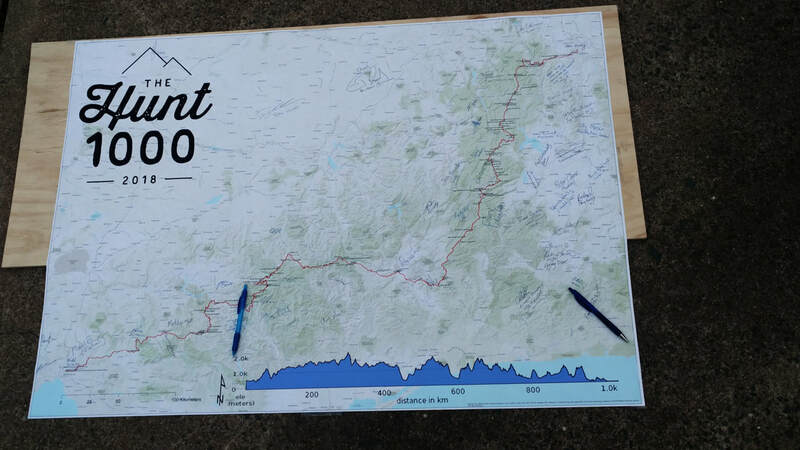 Besides how epic would a 100 miles be on everything you rarely ride? I may not have been the fastest but I bet I had the most epic experience. With nothing really hurting just pretty stinkin' tired, we rode with friends the next day and checked out some features and had some fun. 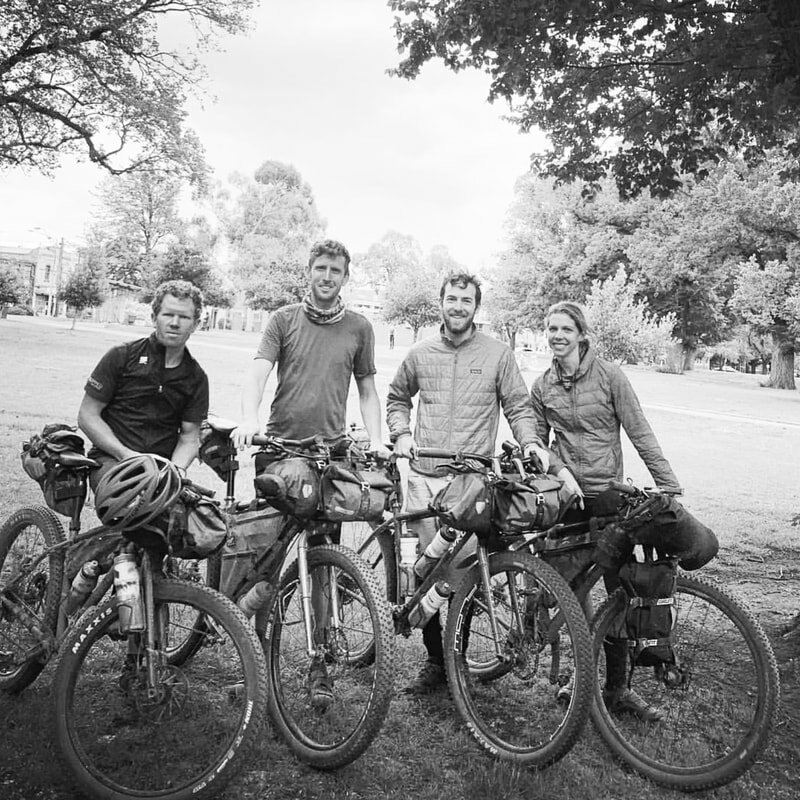 The 14 hour drive back and work for the next five days was far harder and grueling than the race itself... the low to the high of the race... but totally worth every moment of riding rocks and getting lost in the flow of riding bikes. If you're looking for a race that is tough, technical, long with 10,000+ feet elevation gain starting at 2,700 feet above sea level. True Grit Epic is calling your name. ​Happy Shredding and thanks for reading!! 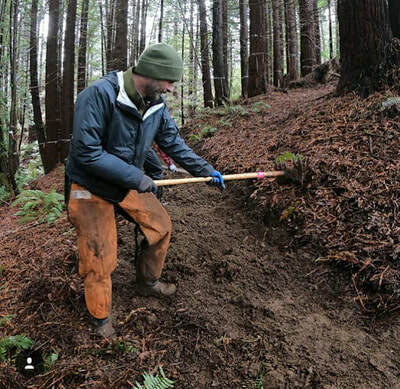 Trail building is hot and heavy out in Blue Lake since the Redwood Coast Mountain Bike Association (RCMBA) and Green Diamond shook and signed to build mountain bike specific trails August 2017. The first contract of it's kind in the state of California. RCMBA chair, Tom Phillips, vice chair, Sean Tetrault, and other members have been consistent in setting up and staging trail days drawing huge showings of workers consisting of riders, non-riders, friends, and high school riders from the Humboldt Composite High School Mountain bike team. 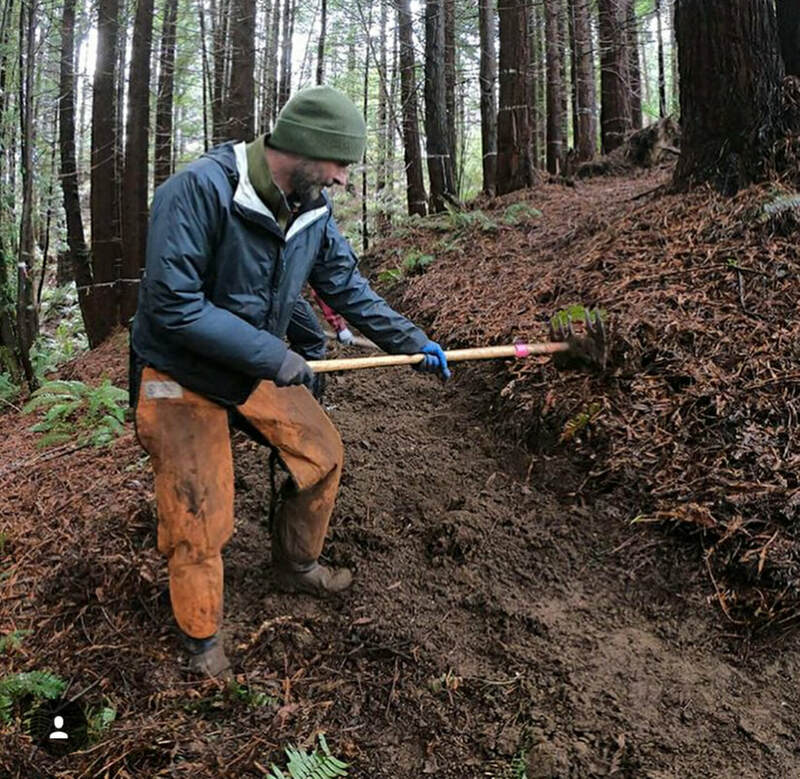 Essentially a large portion of the Humboldt mountain bike community hard at work to build the trails they want to ride. On work-day February 18th, 25-30 hardheaded diggers arrived on site at 10 AM ready to build despite the rain, freezing temperatures, and intermittent hail and snow. Over the course of 4 hours somewhere around a half mile of trail was constructed from scratch. A blue level trail which connects an upper road to the entrance of another blue-level trail: Stable Genius-- a trail designed in collaboration of riders with Tom Phillips. 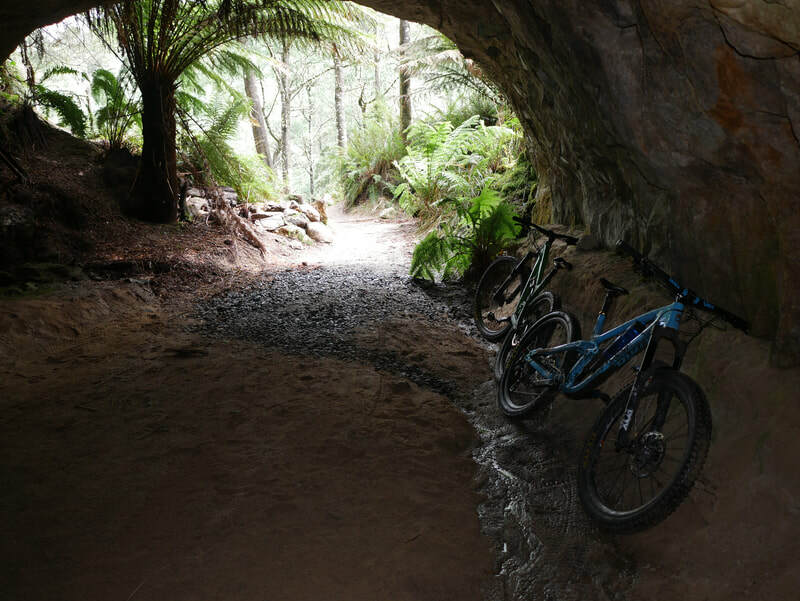 ​With the go for mountain bike specific trails, upon completion, this system will push your limits and skills. 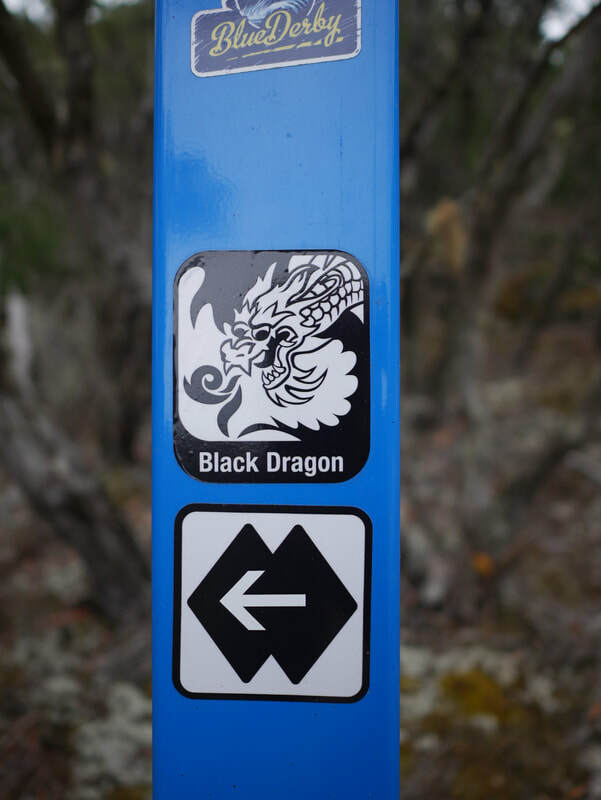 Although there are quite a few more difficult trails in place, the plan is to have both blue trails (medium difficulty) and more challenging trails (black) from top to bottom. Currently there are a handful of trails with a little of blue and black. The highest on the mountain is Half-rack. This trail starts with a mild, bumpy climb weaving thru the trees to a fun descent with a flowy section incorporating a few optional drops and jumps. Next down is Pits. 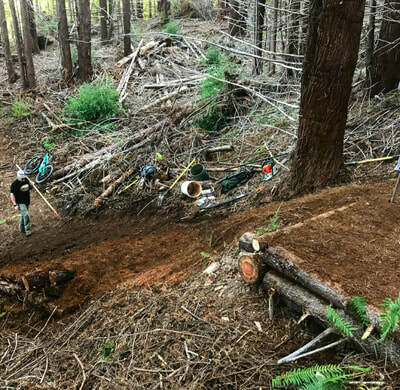 Pits was mainly build by builder J. Lucchesi reflecting his style of narrow, raw roots, and endless whoops slicing down the side of the mountain ending with a steep shoot. After the shoot, go left to continue down the last section of pits and it's adventure of narrow epicness or go right for a less steep and aggressive trail, yet, a more open flowy trail ornamented with a few optional features otherwise known as Stable Genius. ​The second more recently evolved trail is Wood Rat: a slaying good time of narrow, down, off-camber, tight shenanigans that never seems to end until you reach the bottom. SO MUCH FUN. The pedal out carries along the slip-and-slide where you can reminiscence about the epic ride you just experienced. 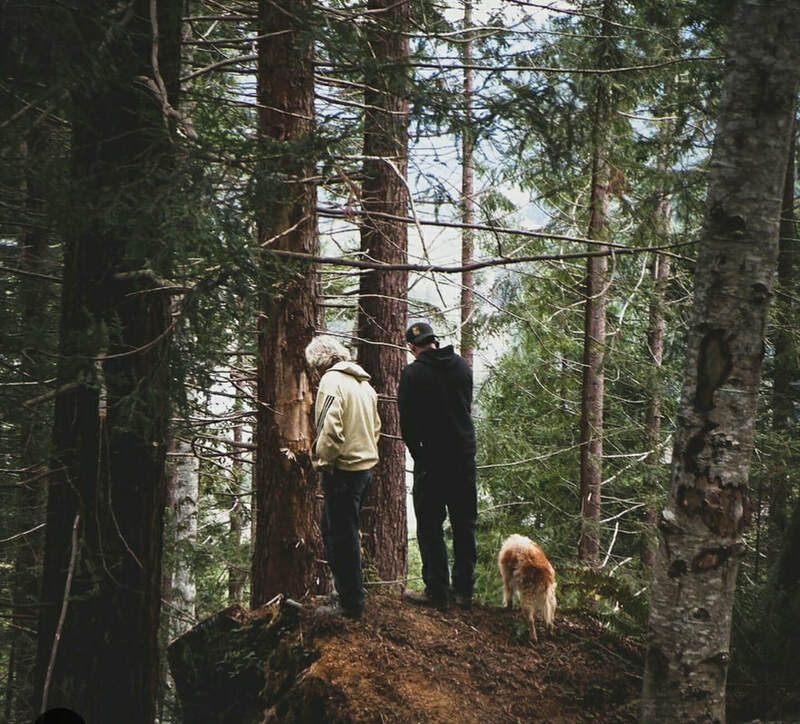 The current handful of trails will keep you stoked from top to bottom depending on your style, or, like myself personally, you will simply love it ALL. The latest trail constructed on the last trail day is so new it has yet to be named however, regardless of the fact it is currently a blue level slick and peanut-buttery good time I am fully confident it will instigate yet another priceless smile on any riders face. 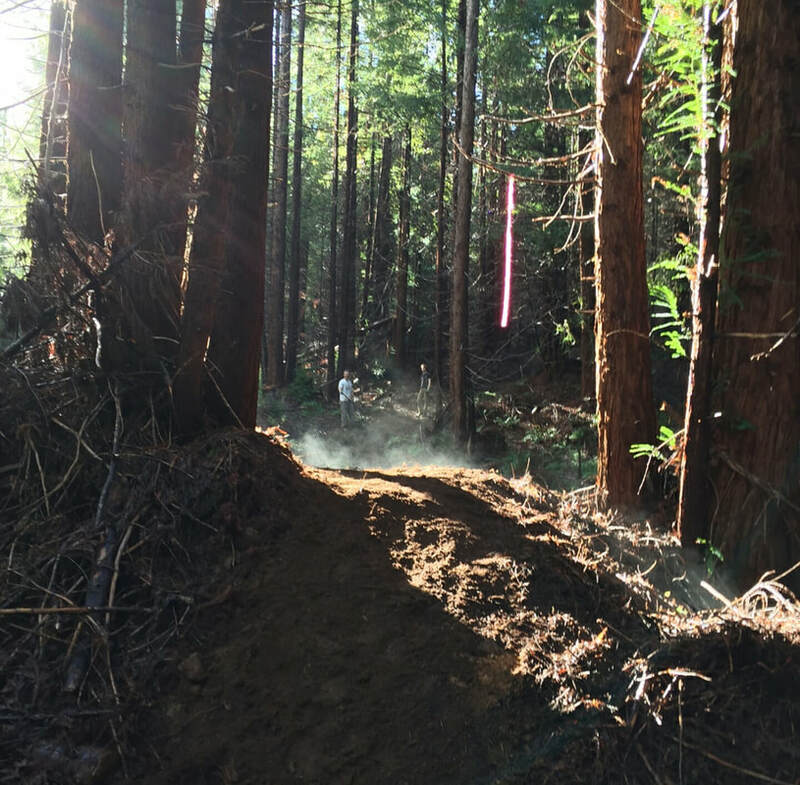 HUGE thanks to RCMBA, Revolution Bikes, all diggers, all riders, Green Diamond, Mad River Brewing and all the labor of love put into these trails. Thanks for reading and happy shreddin'!